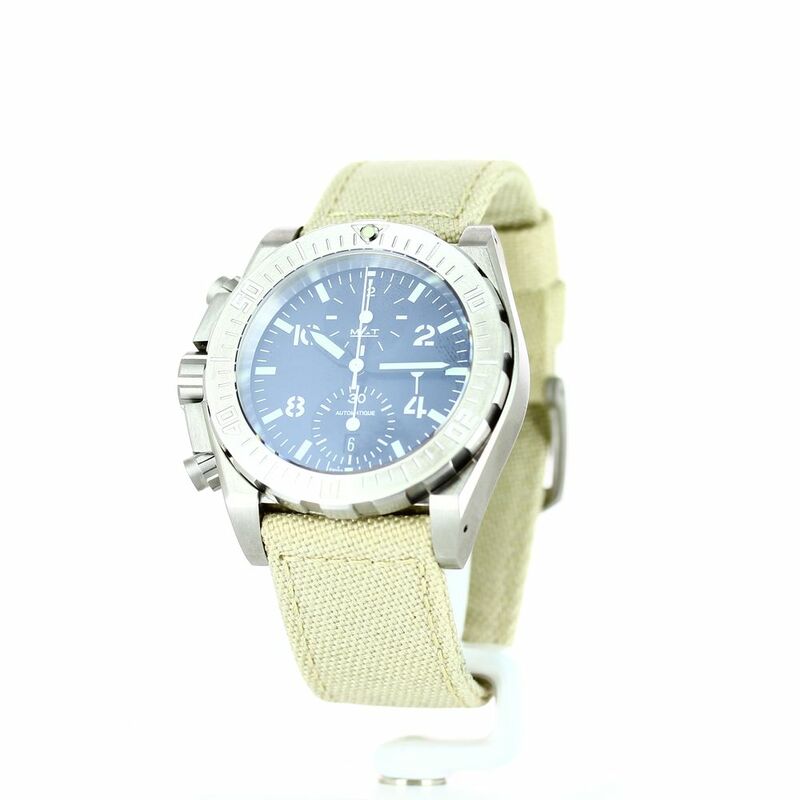 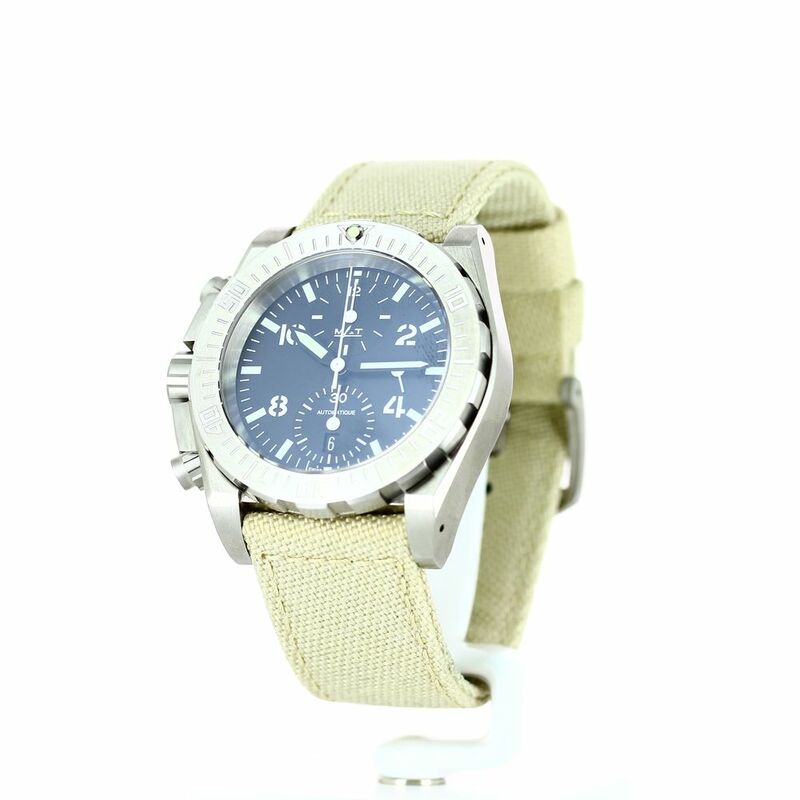 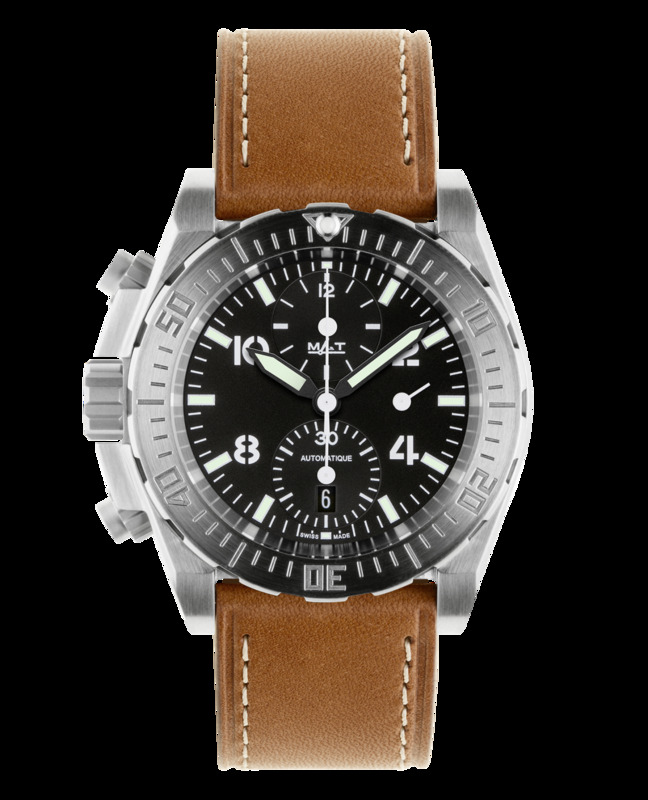 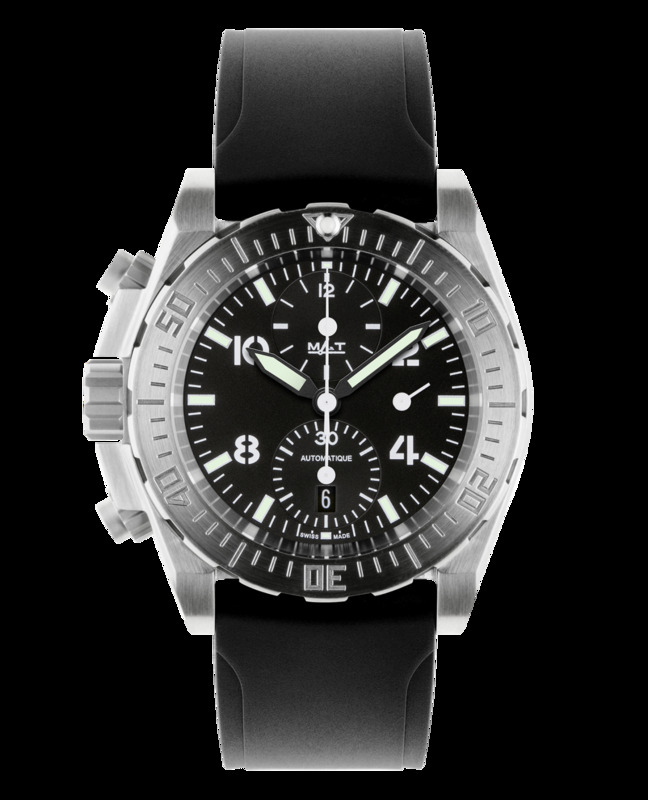 This watch features an all-steel case and bezel whose design is as radical as a furtive frigate. 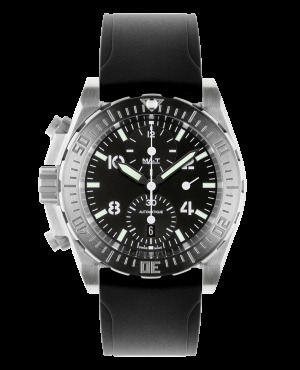 The tri-compax dial with power indicator is uncompromising, and the black canvas bracelet is ultra-resistant. 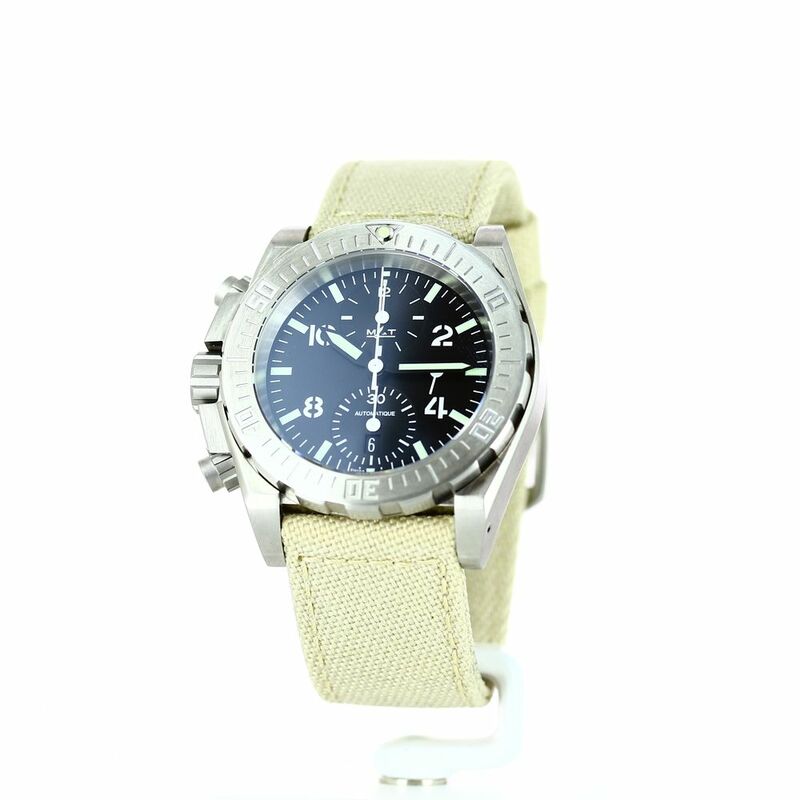 Watertight to 200m with Super Luminova treated indexes and hands, the SEA automatic chronograph that instantly evokes the strength of the oceans and the power of grand yachts. 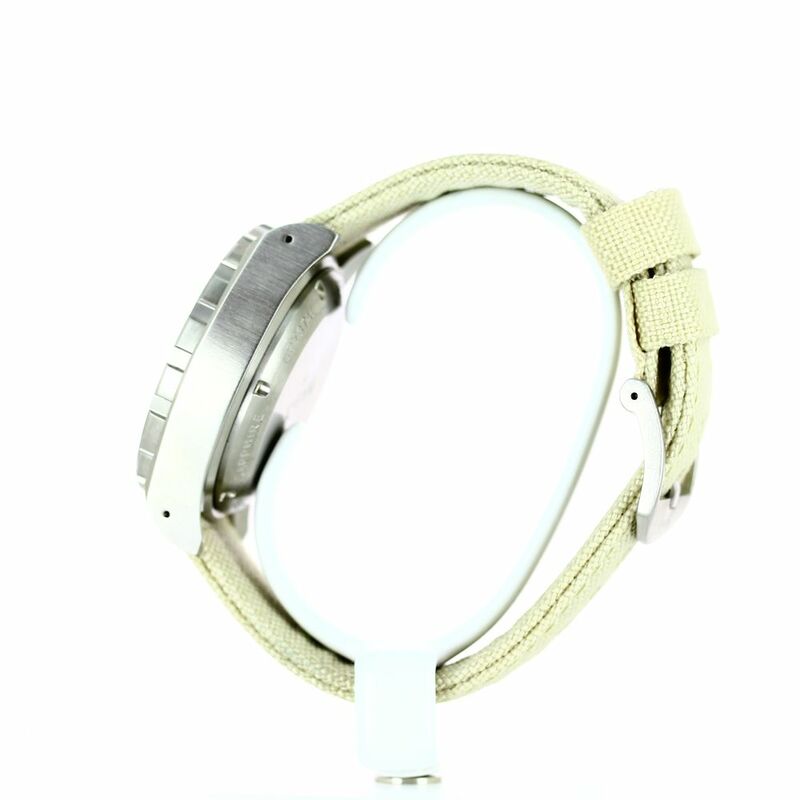 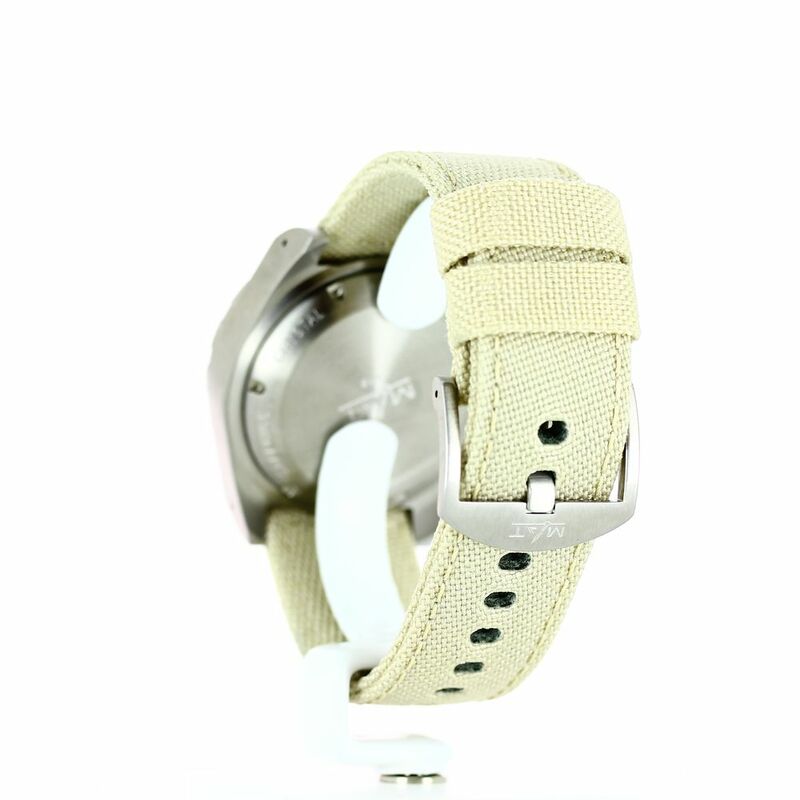 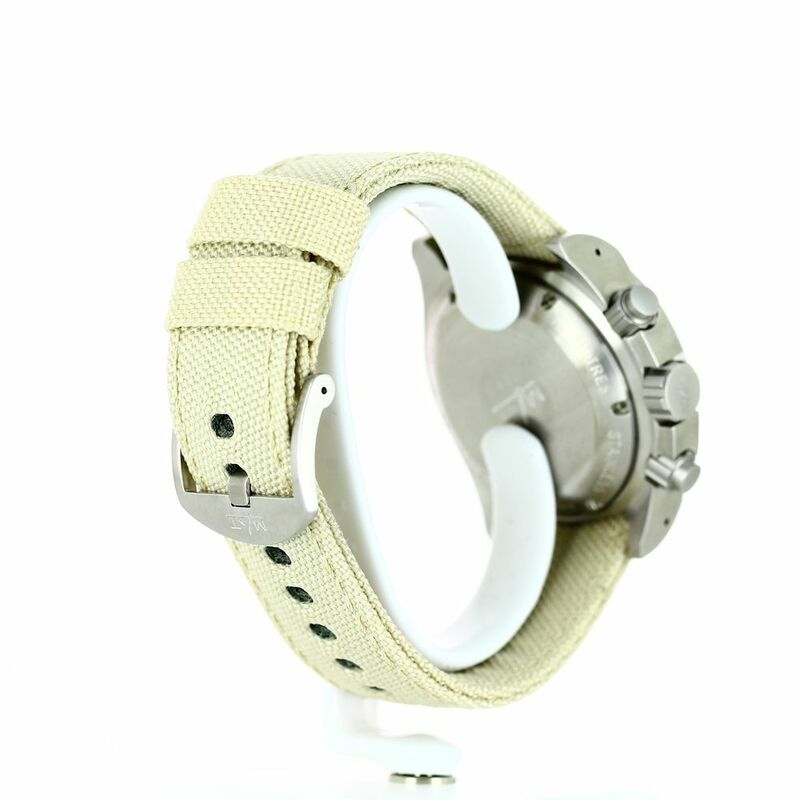 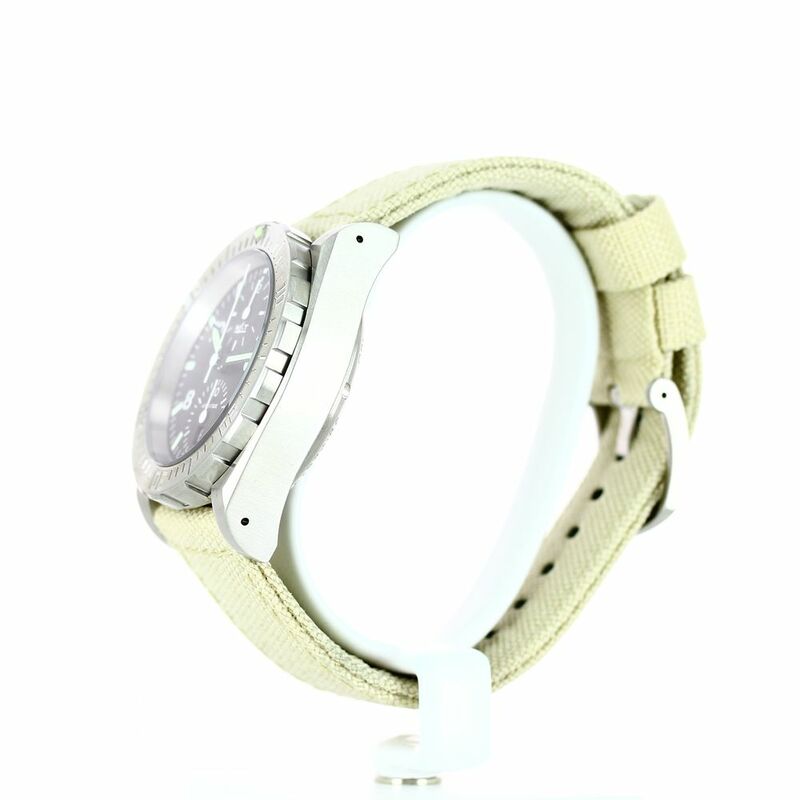 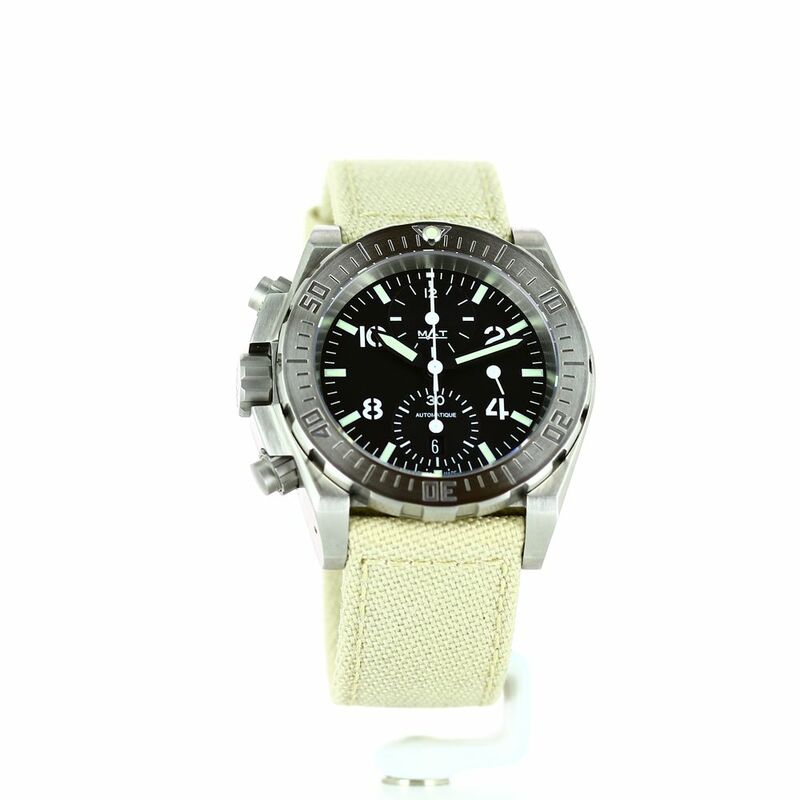 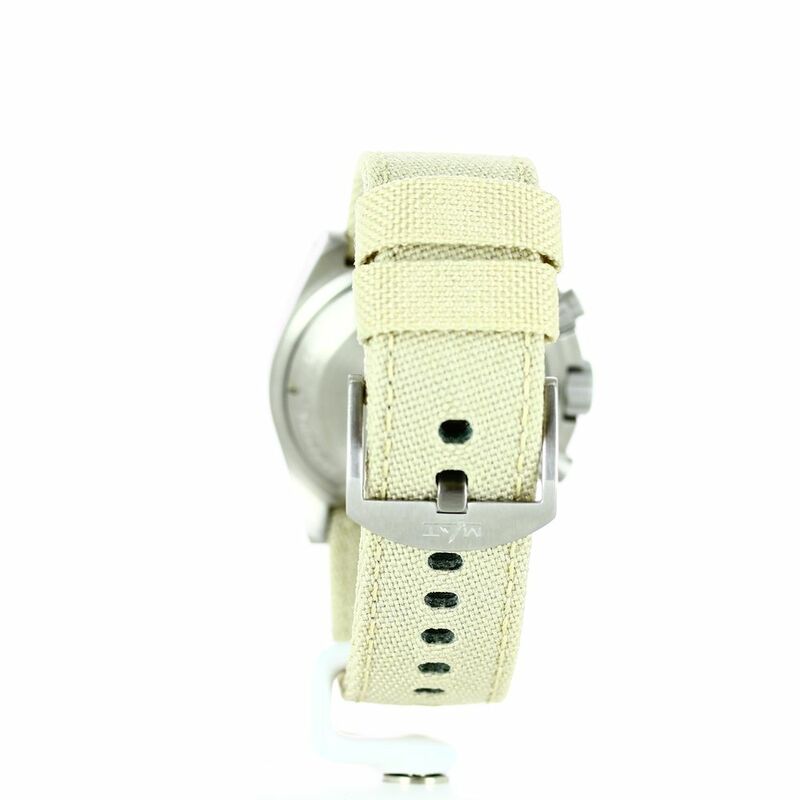 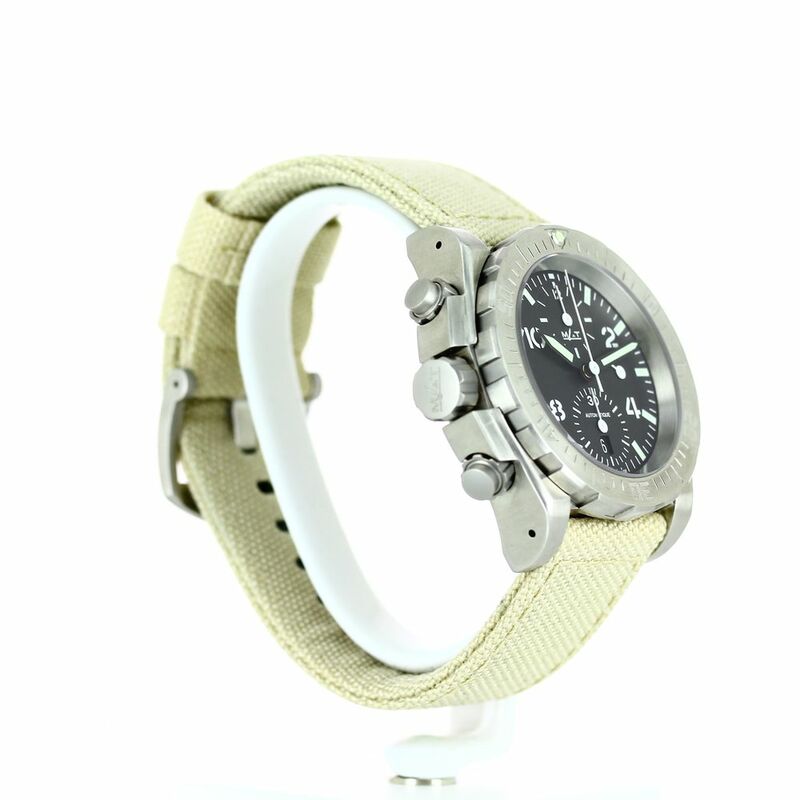 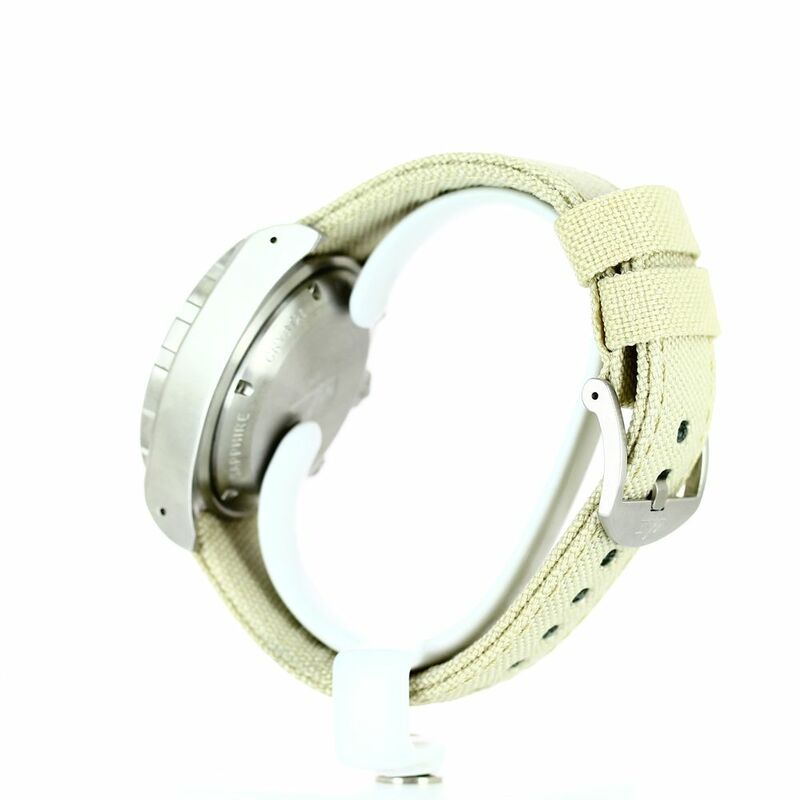 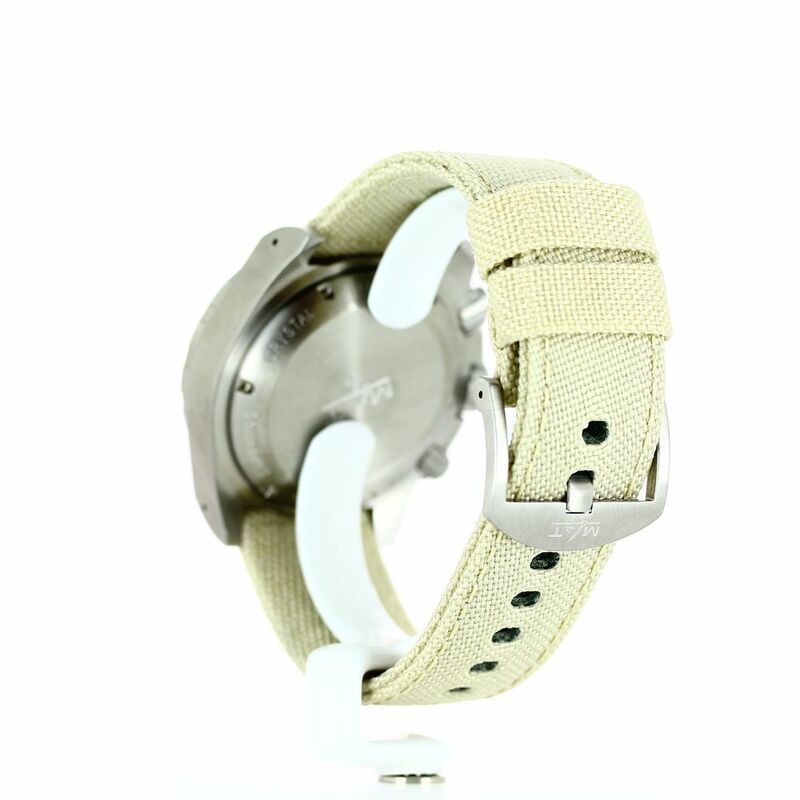 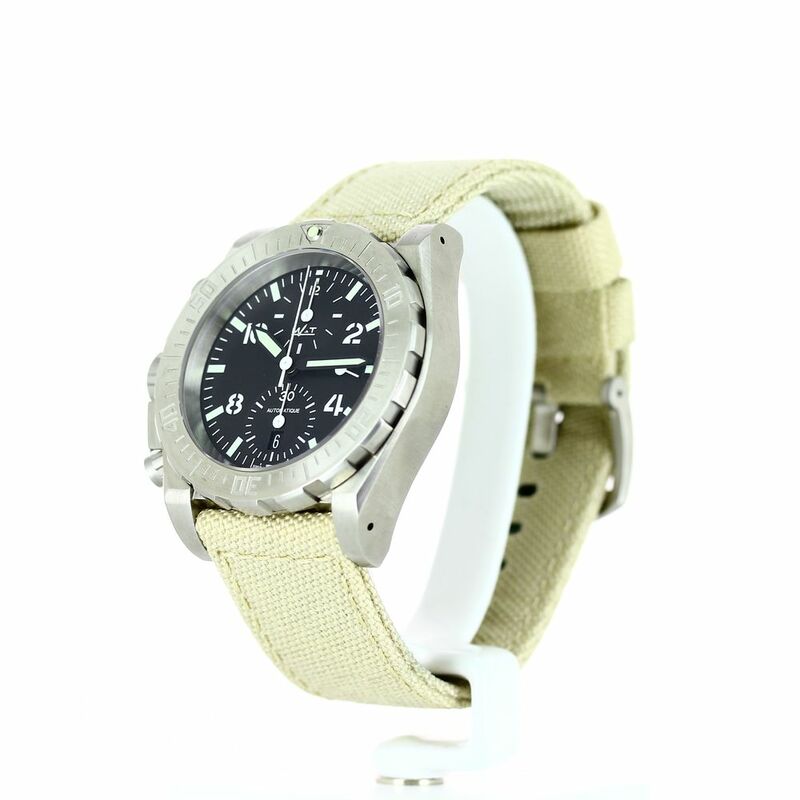 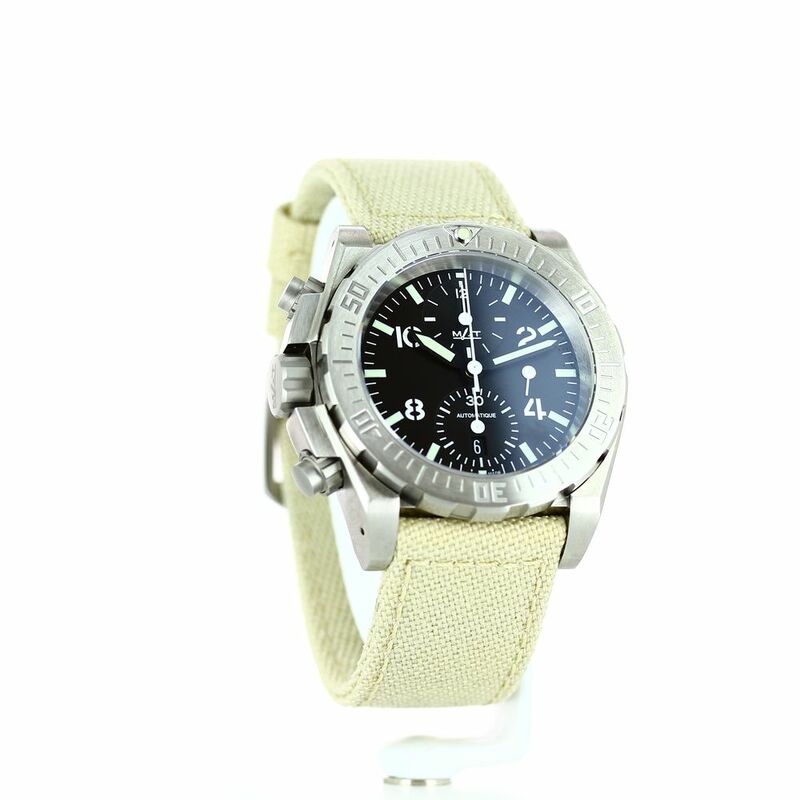 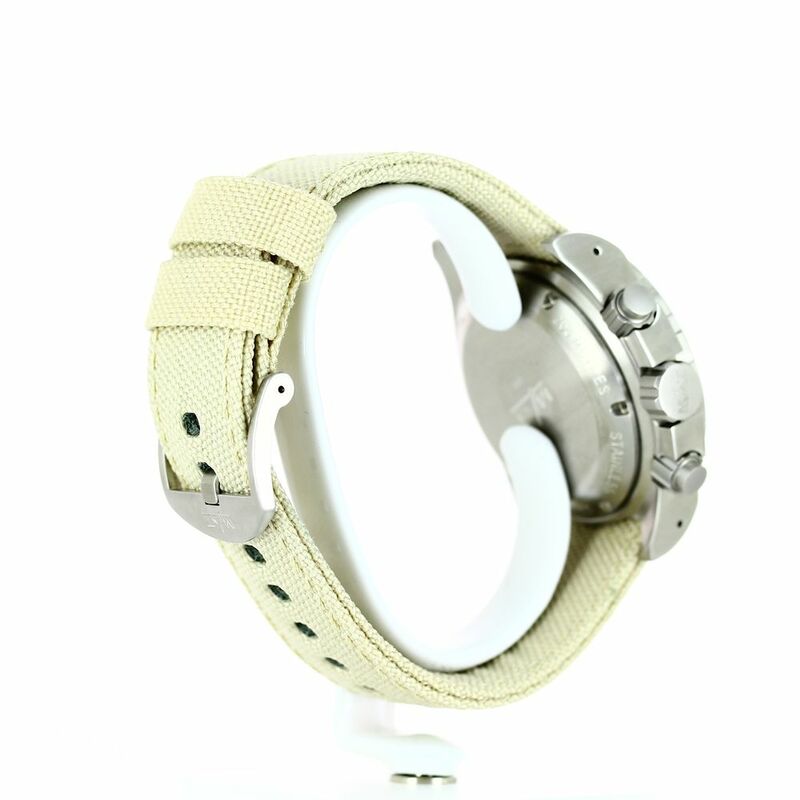 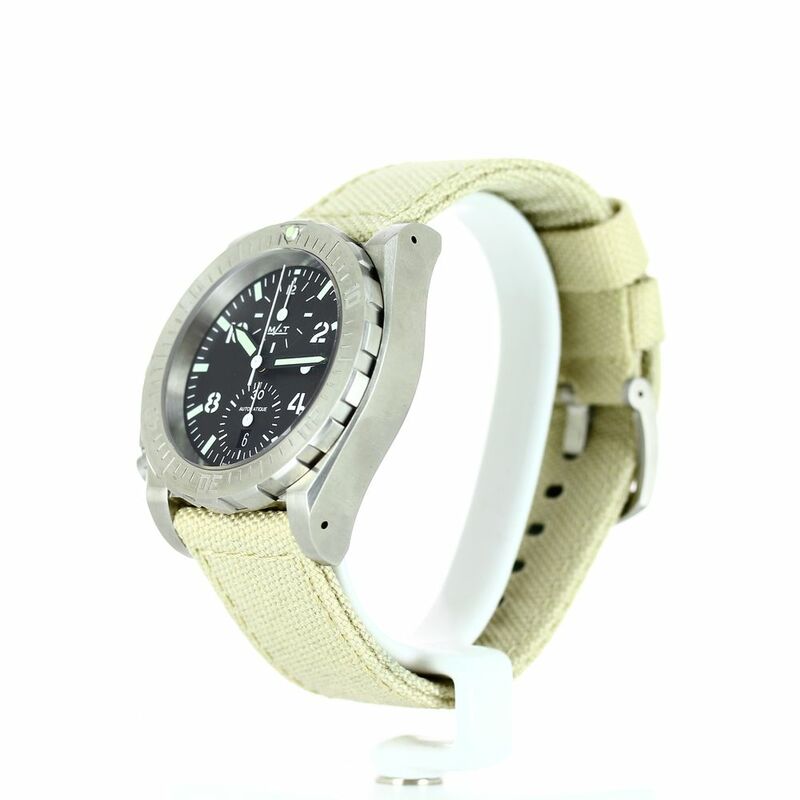 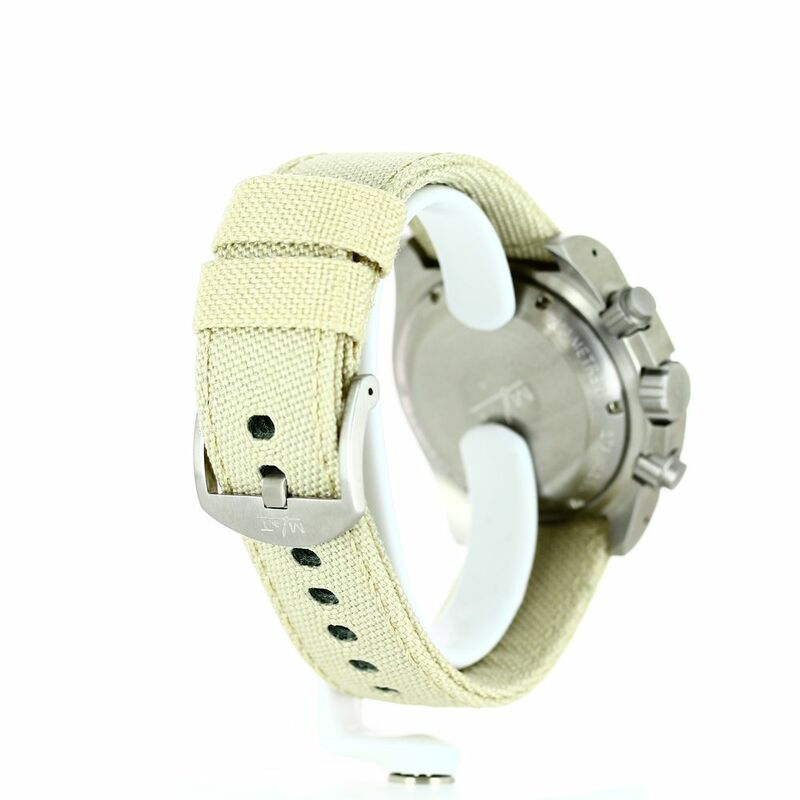 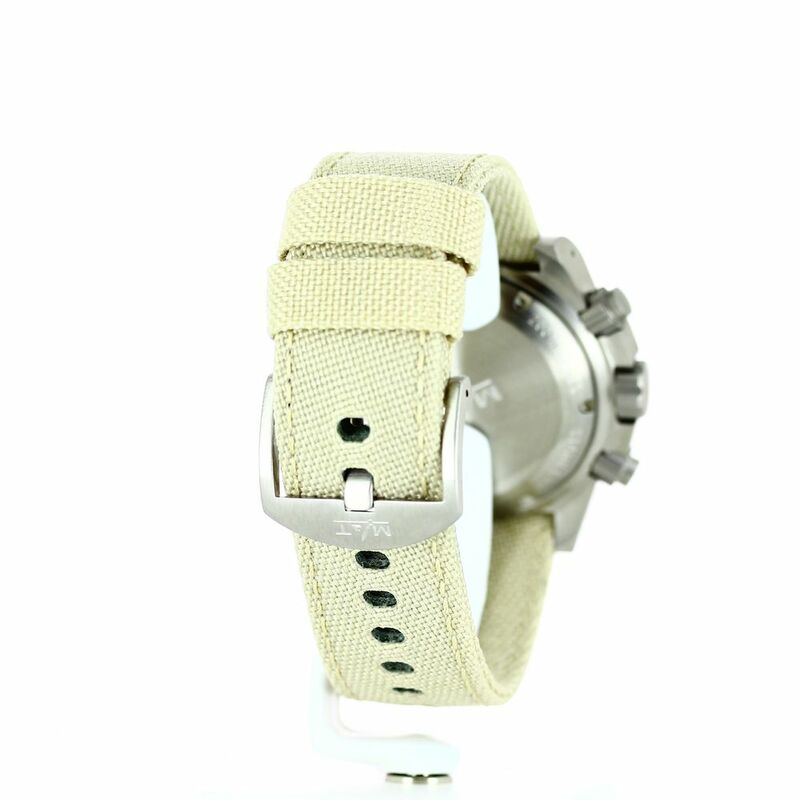 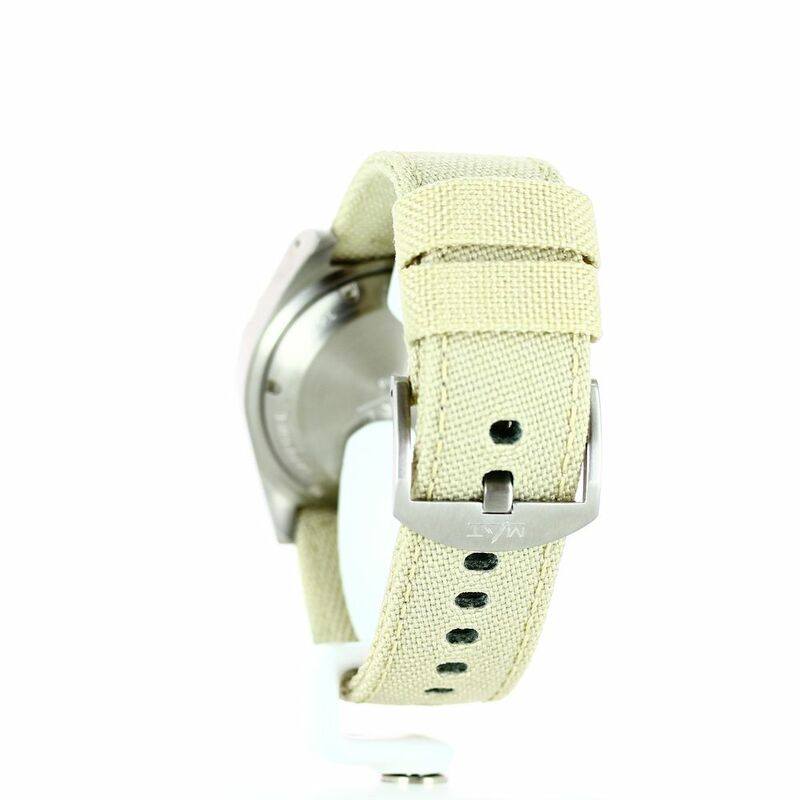 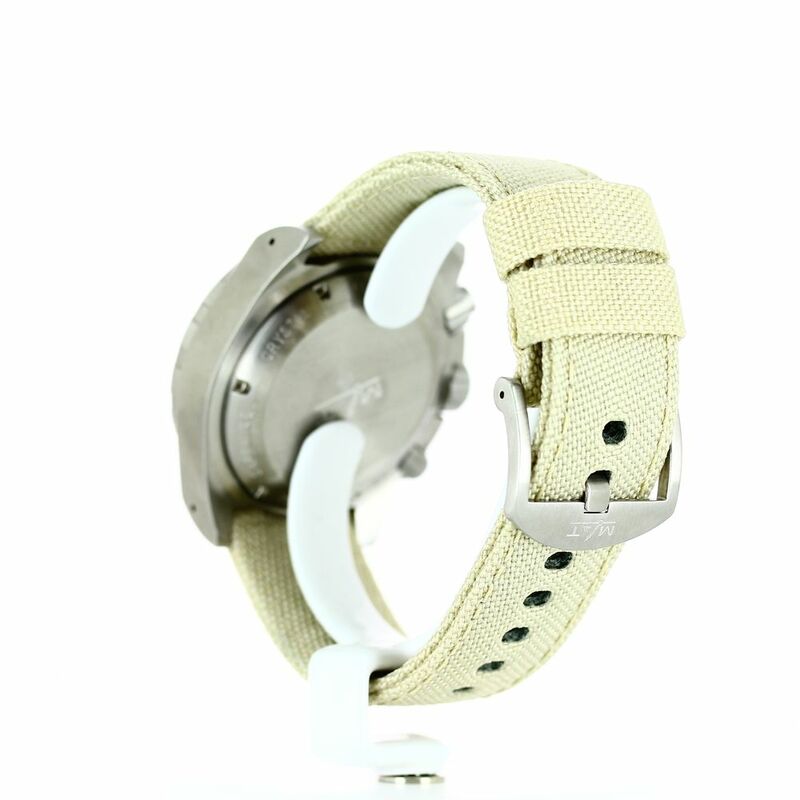 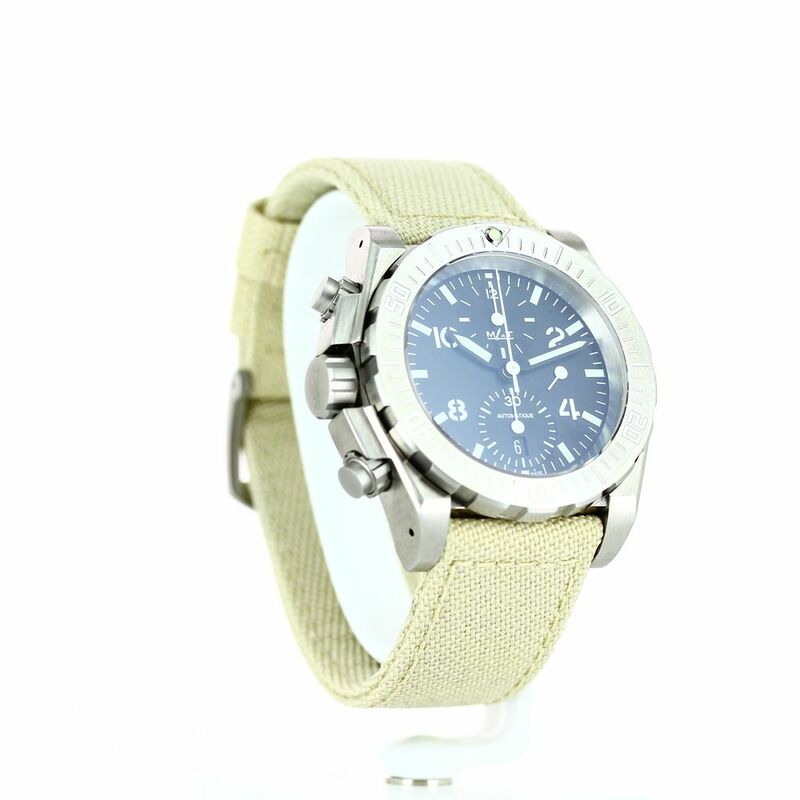 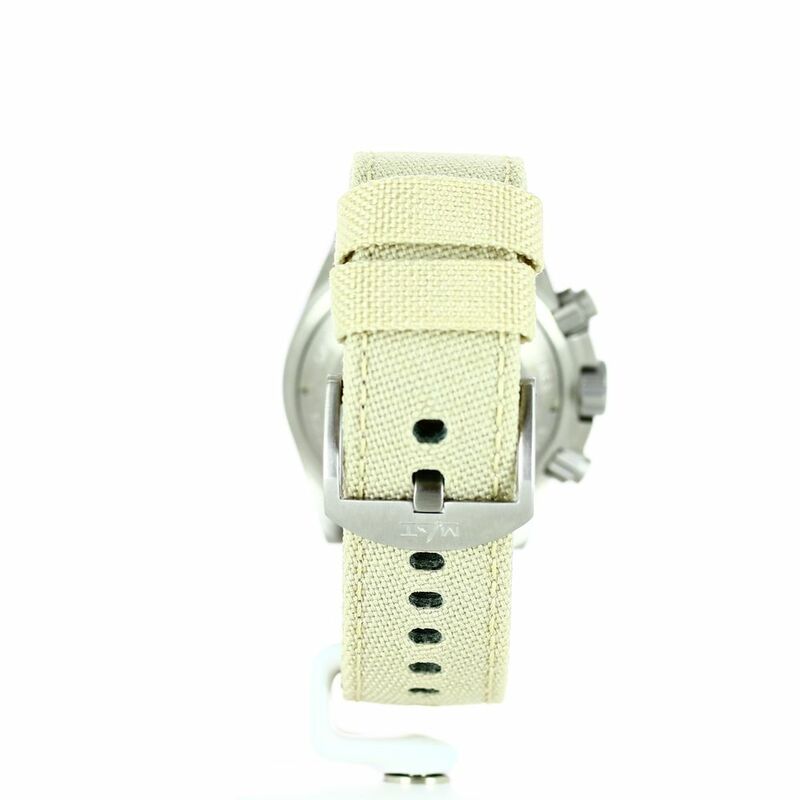 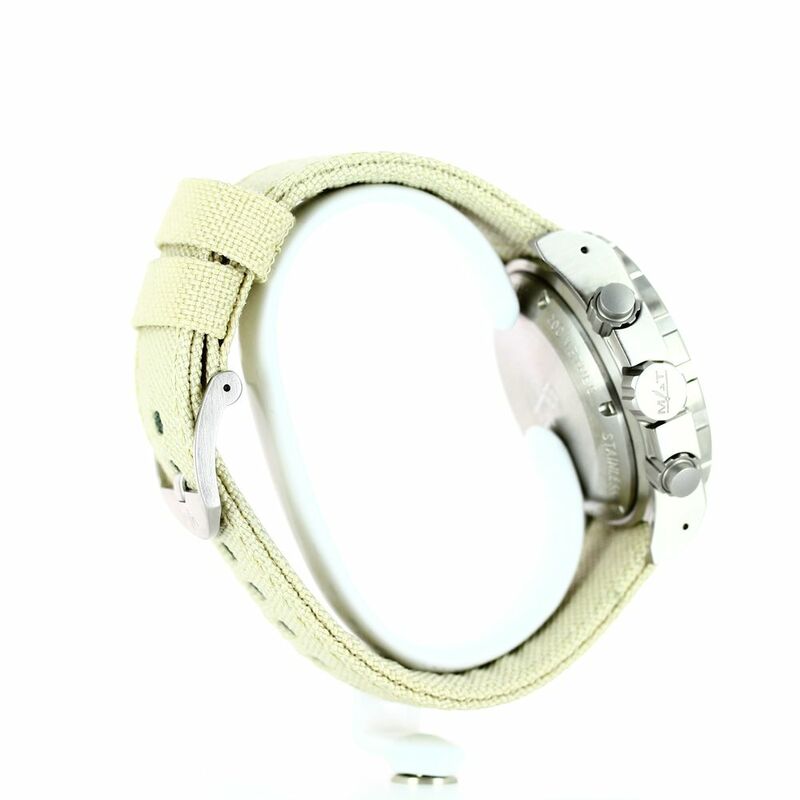 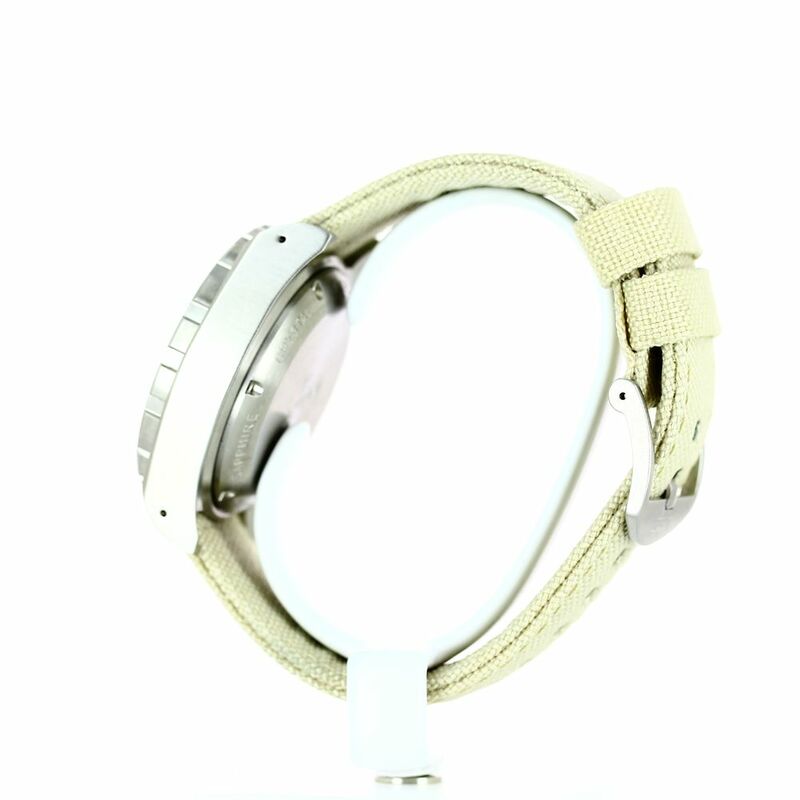 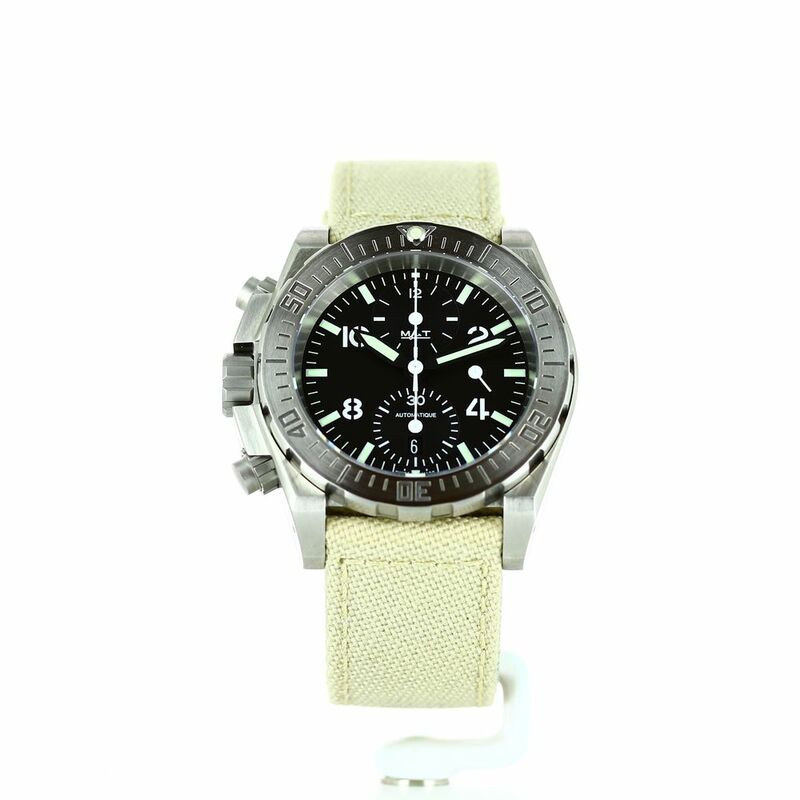 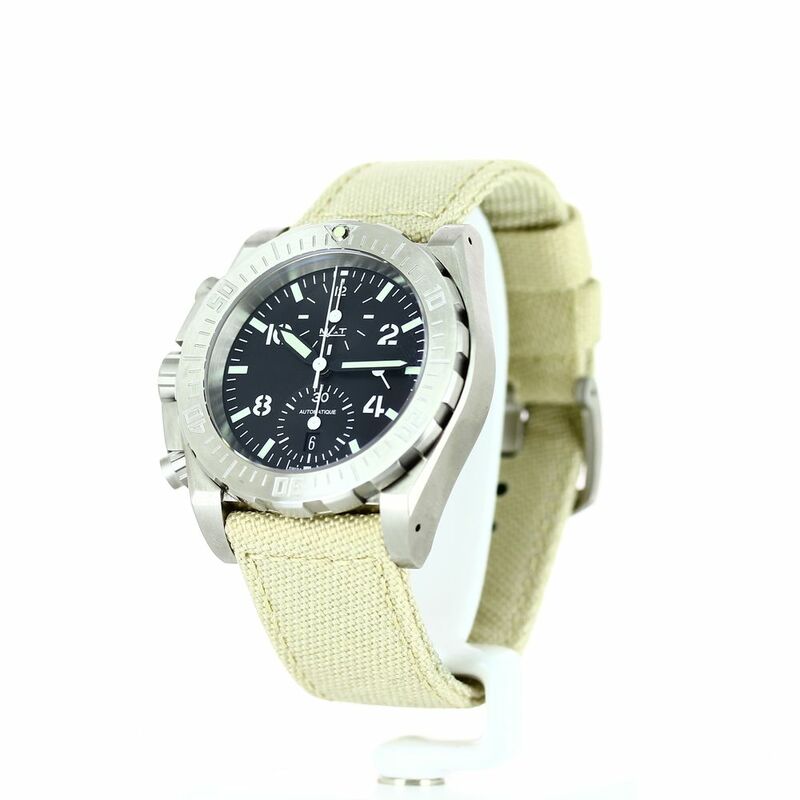 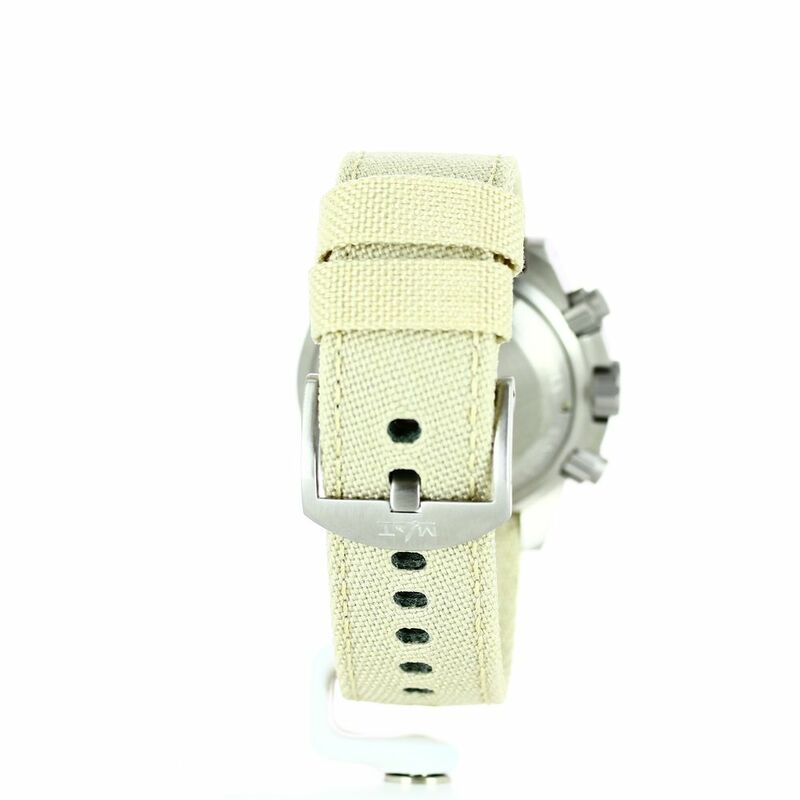 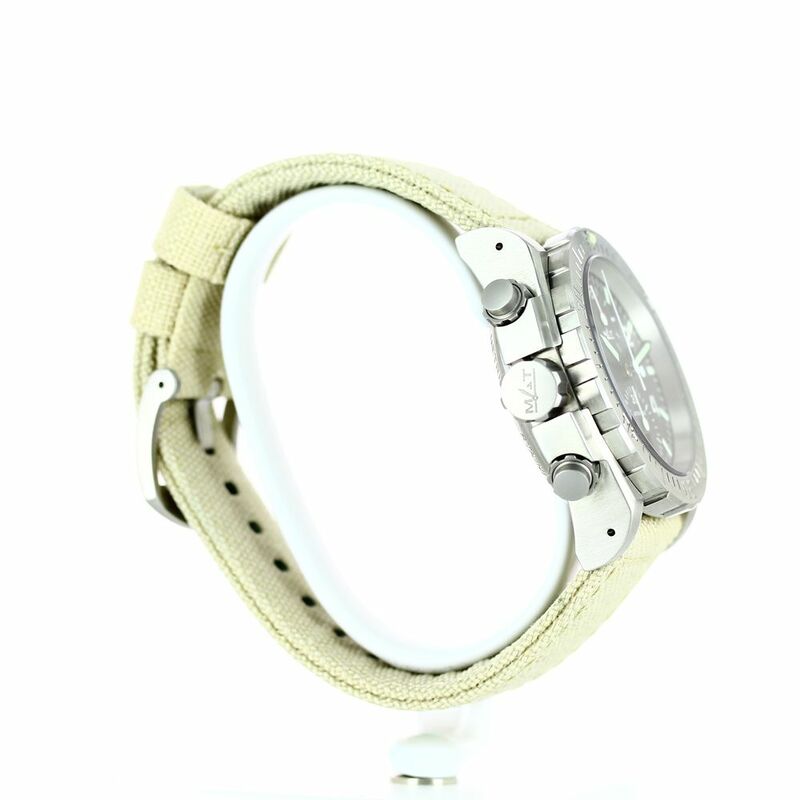 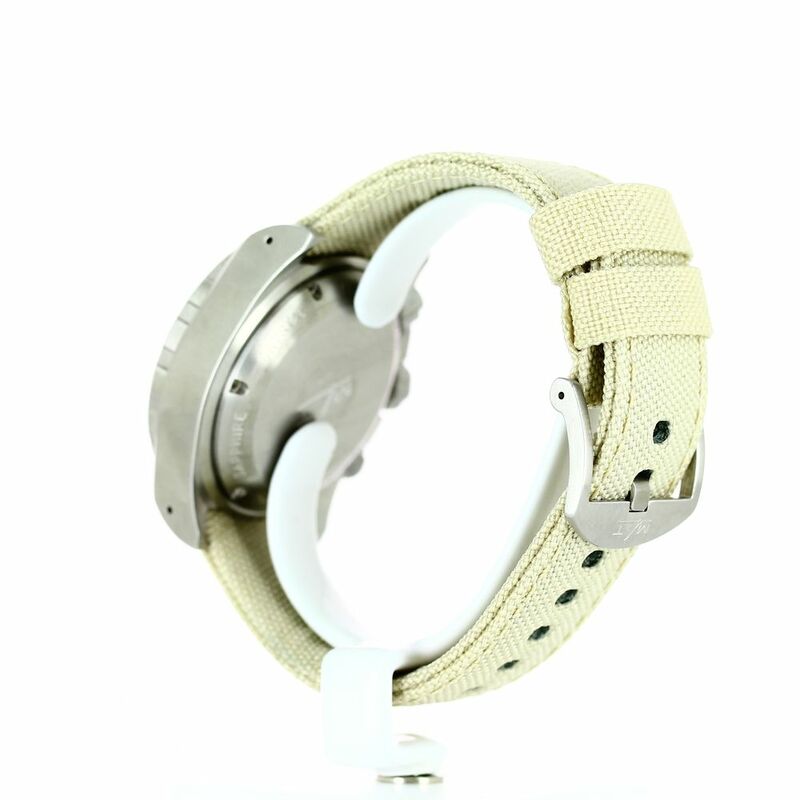 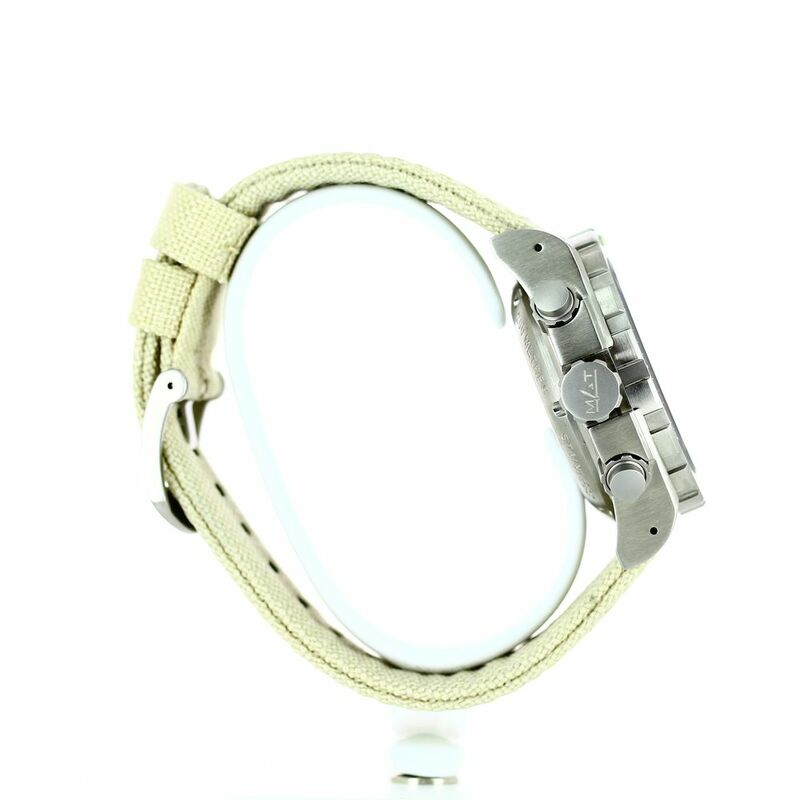 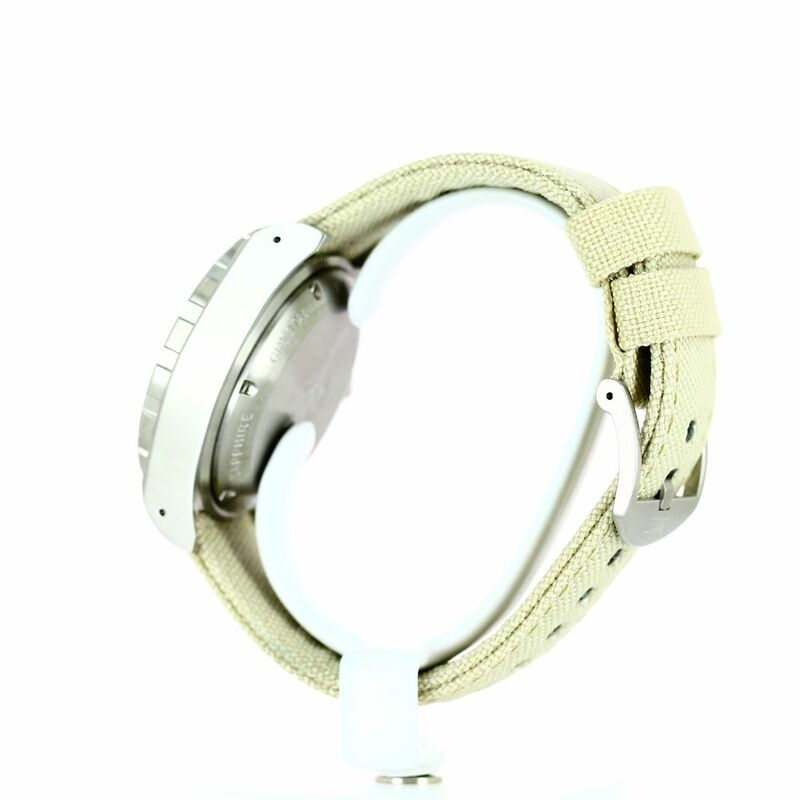 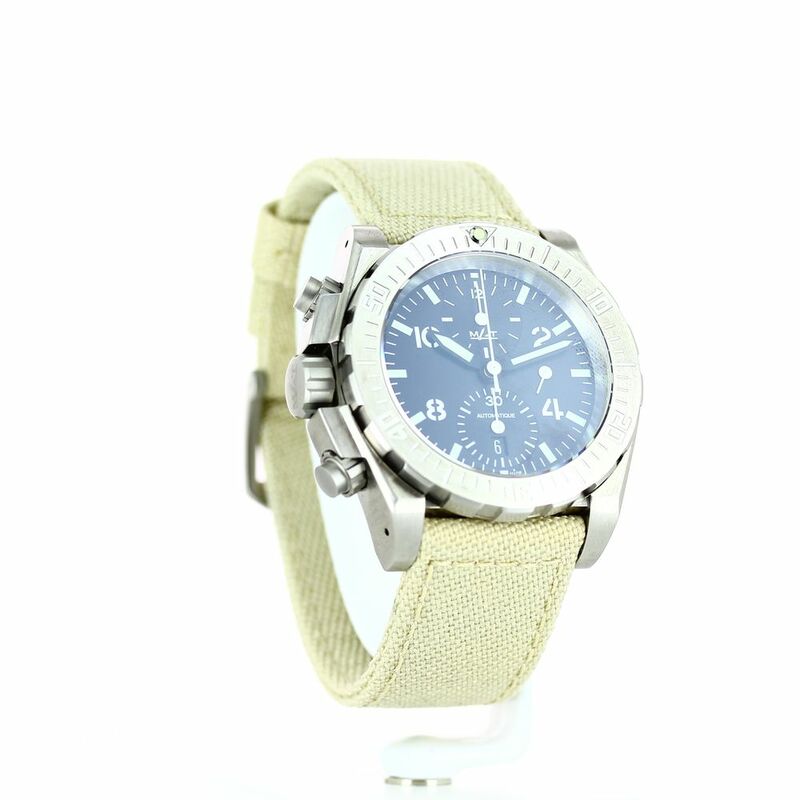 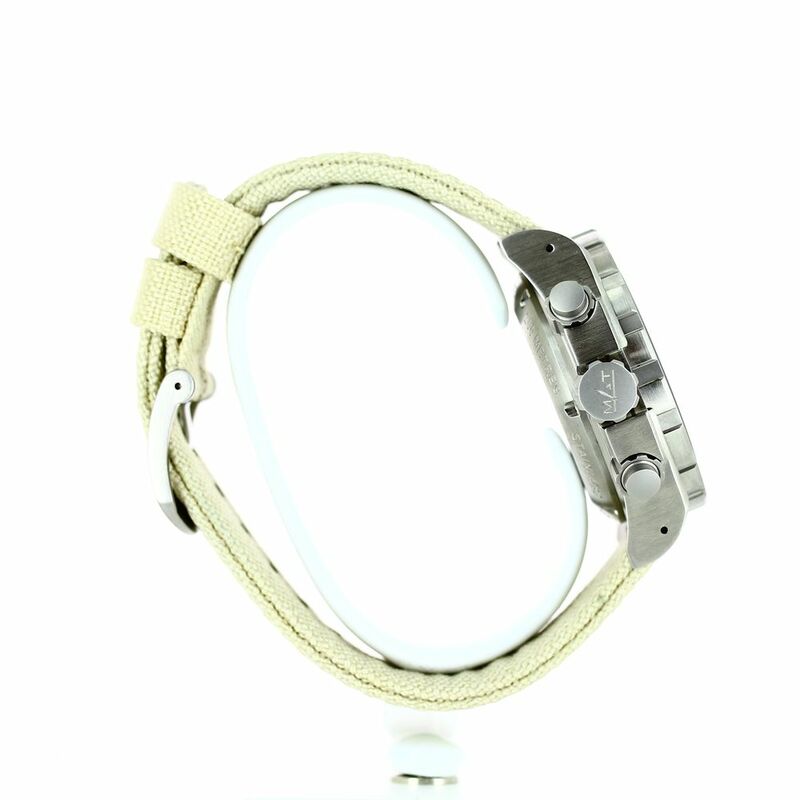 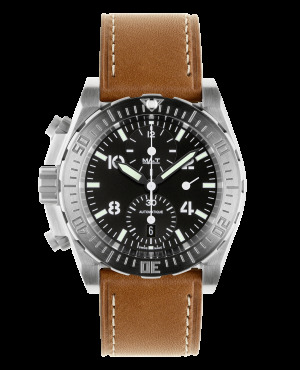 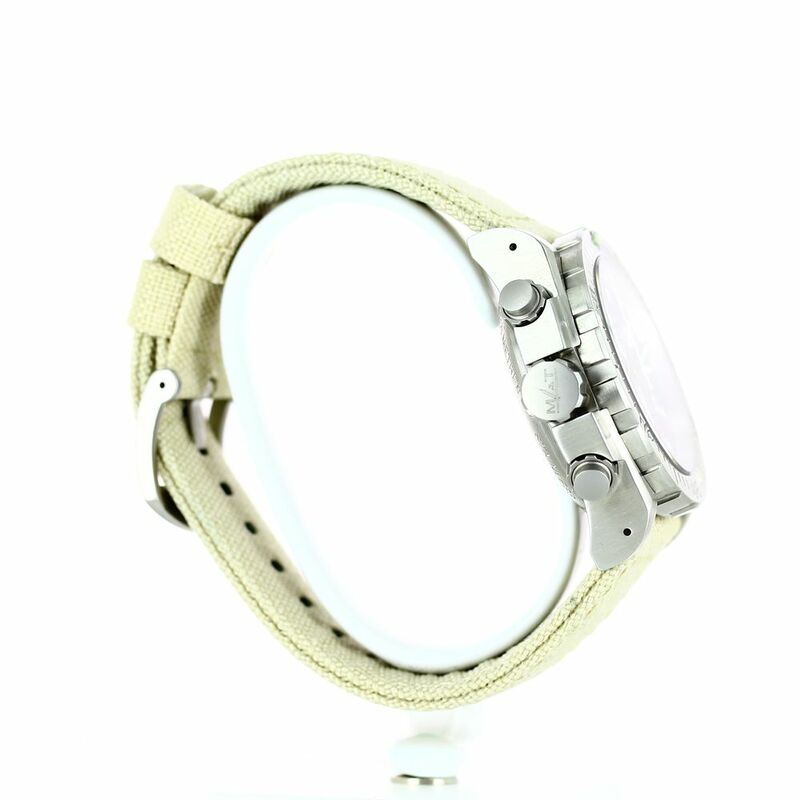 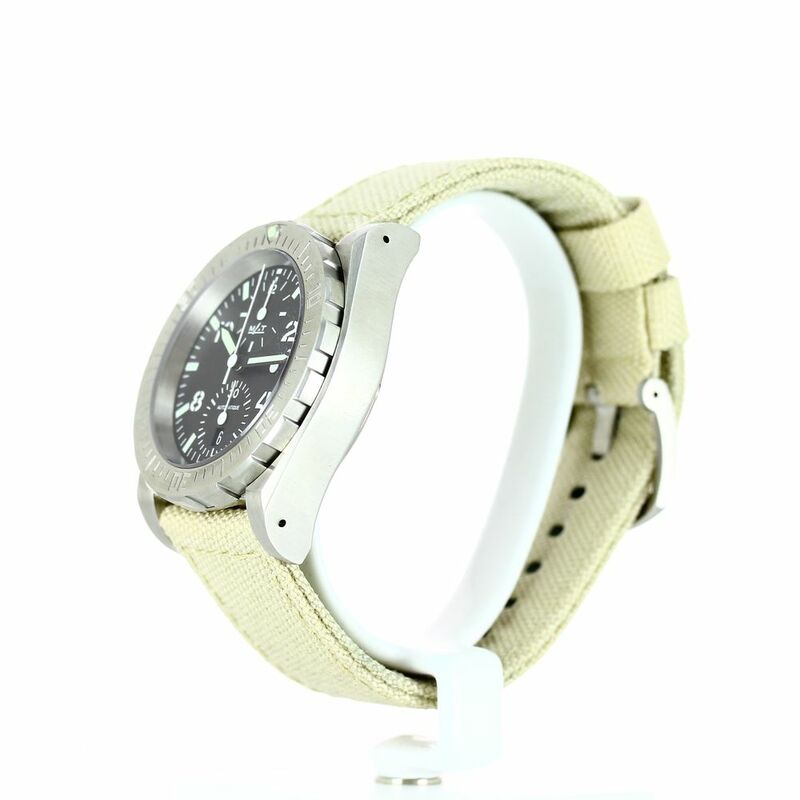 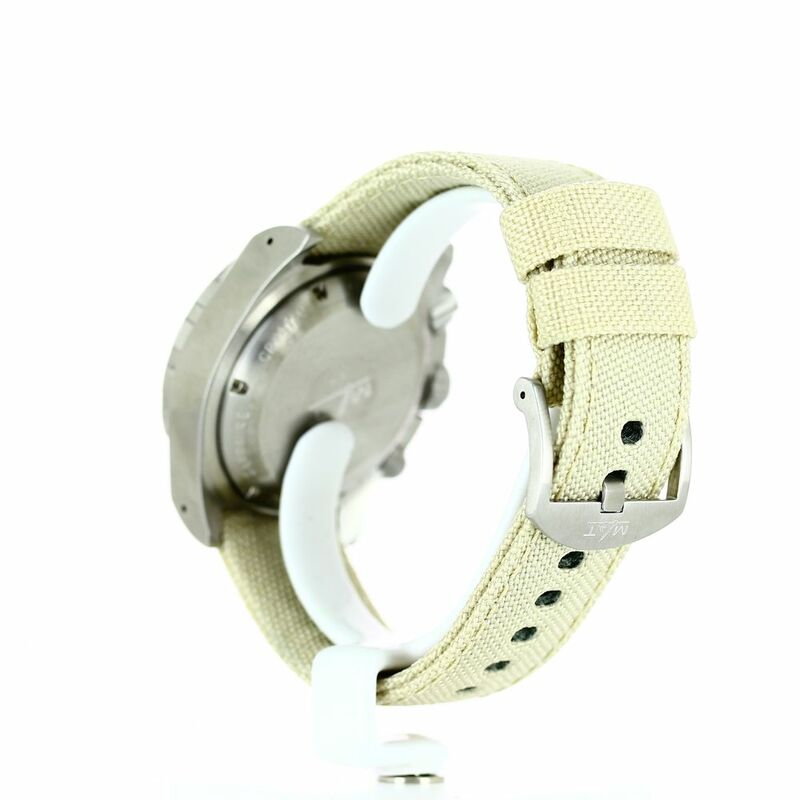 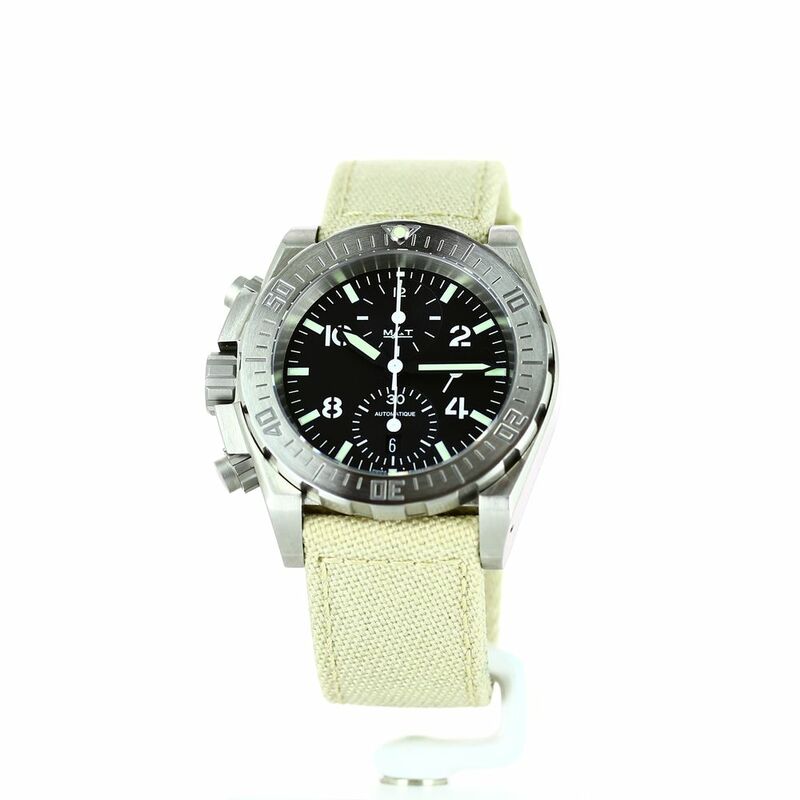 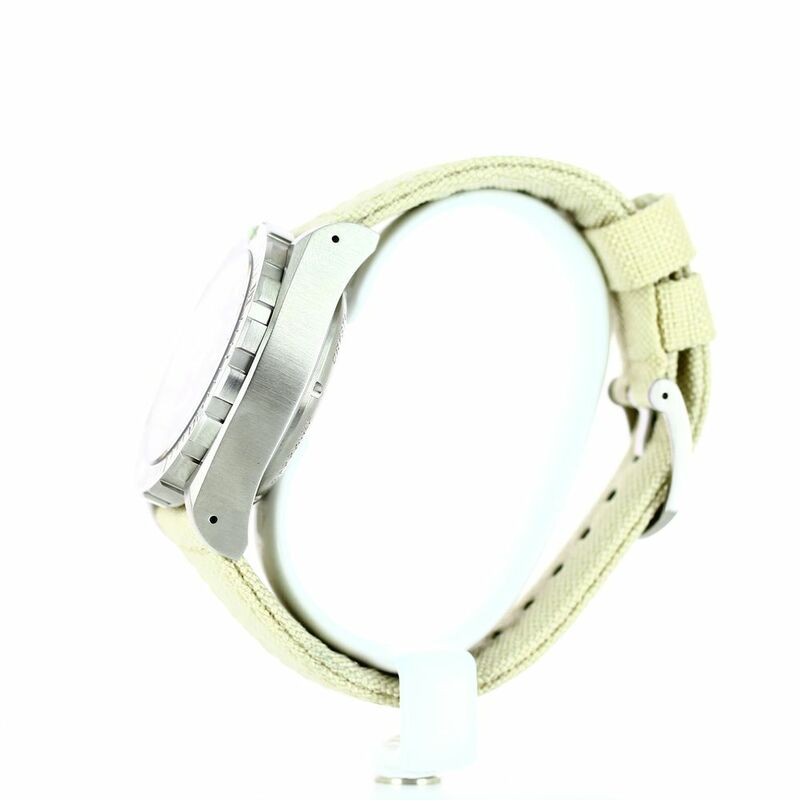 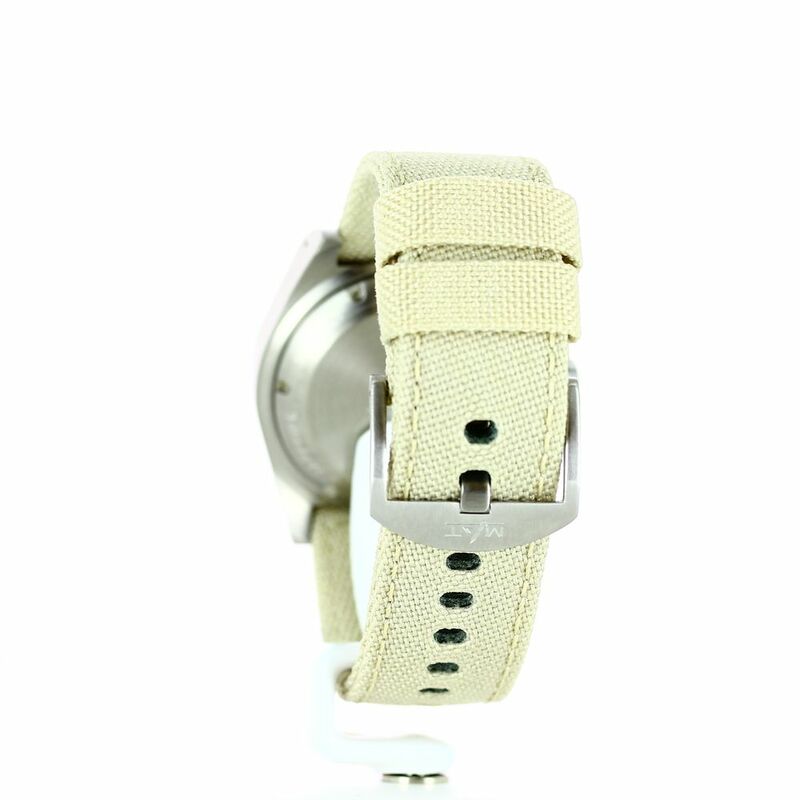 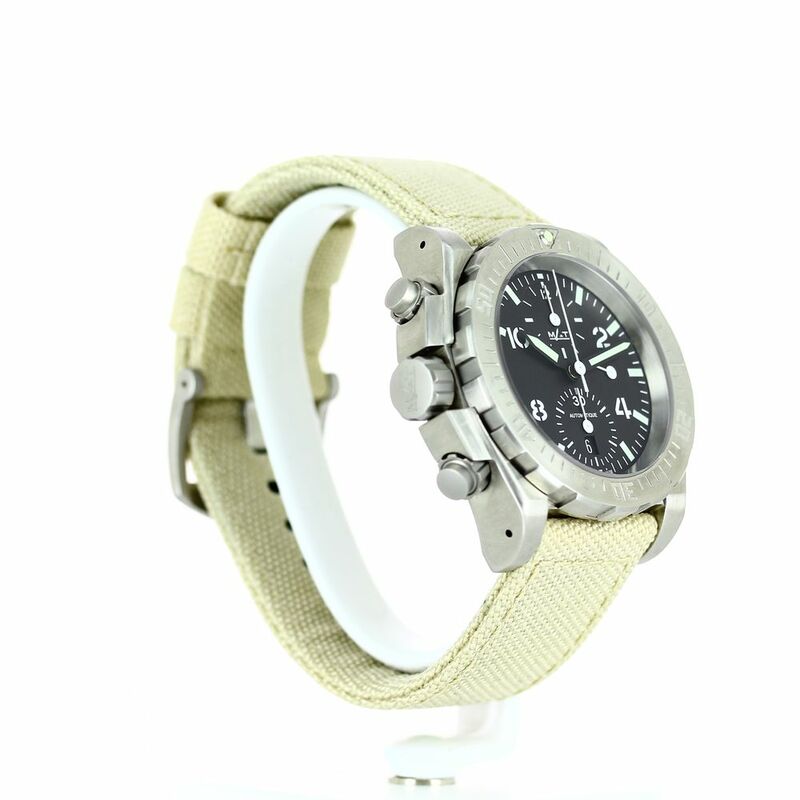 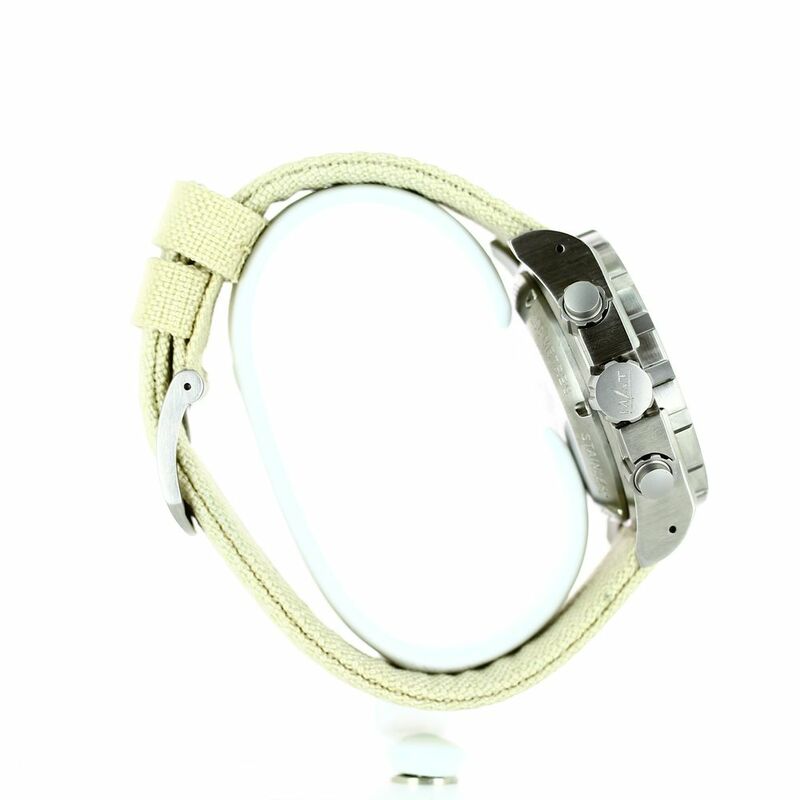 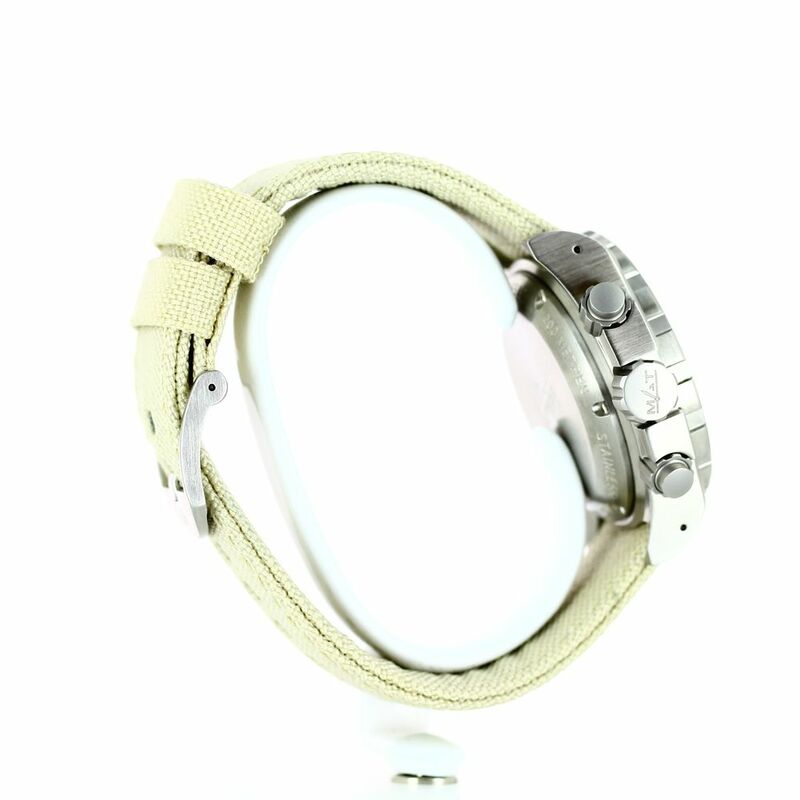 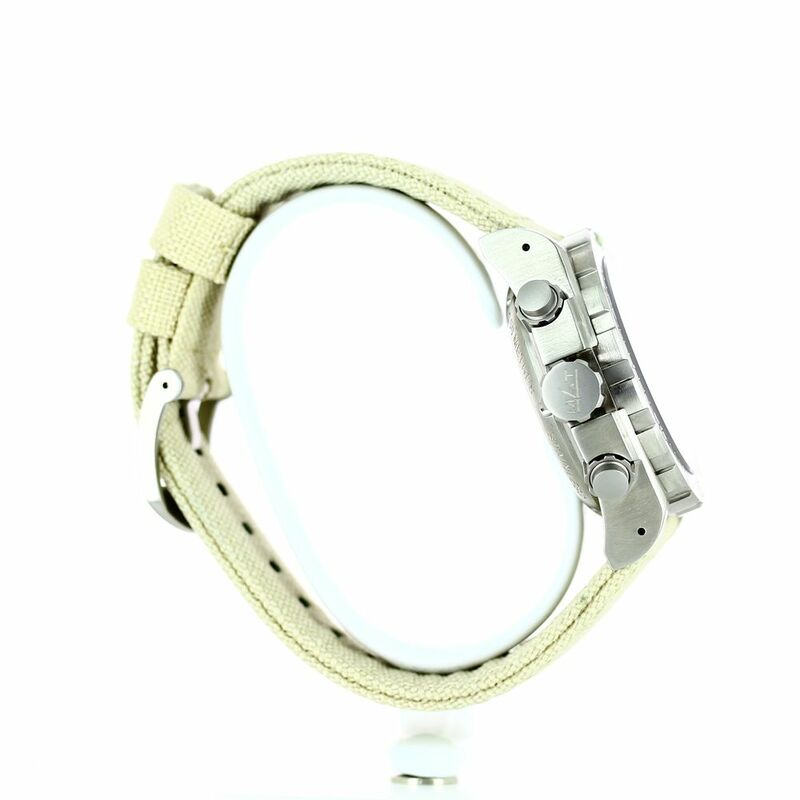 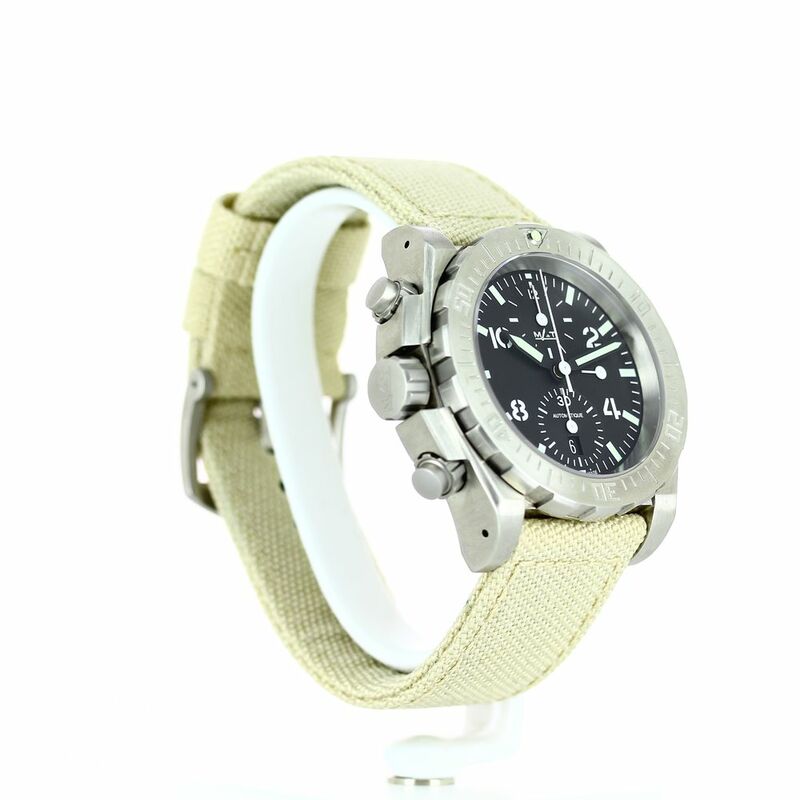 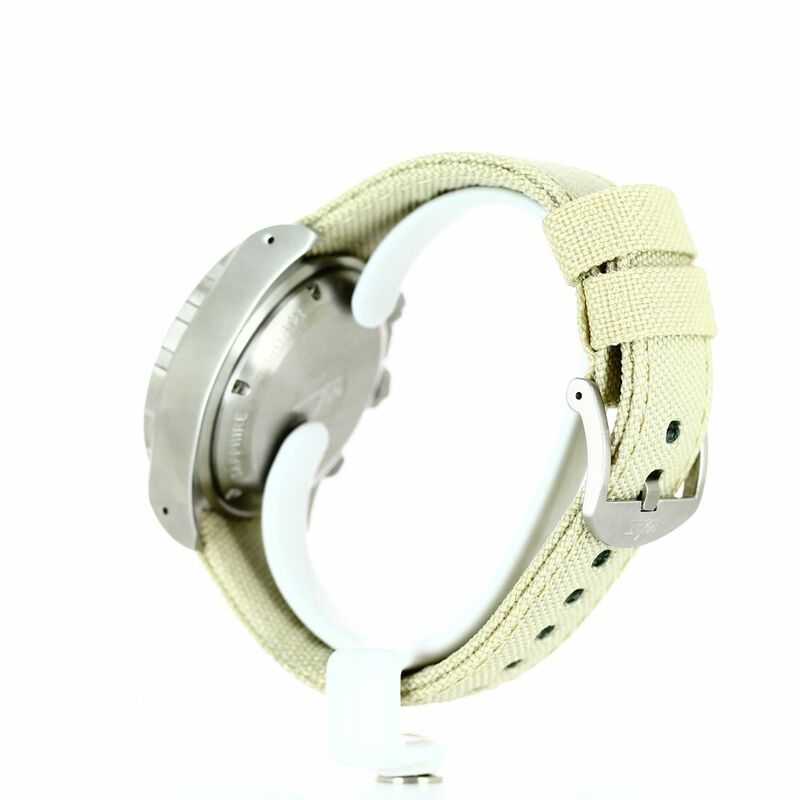 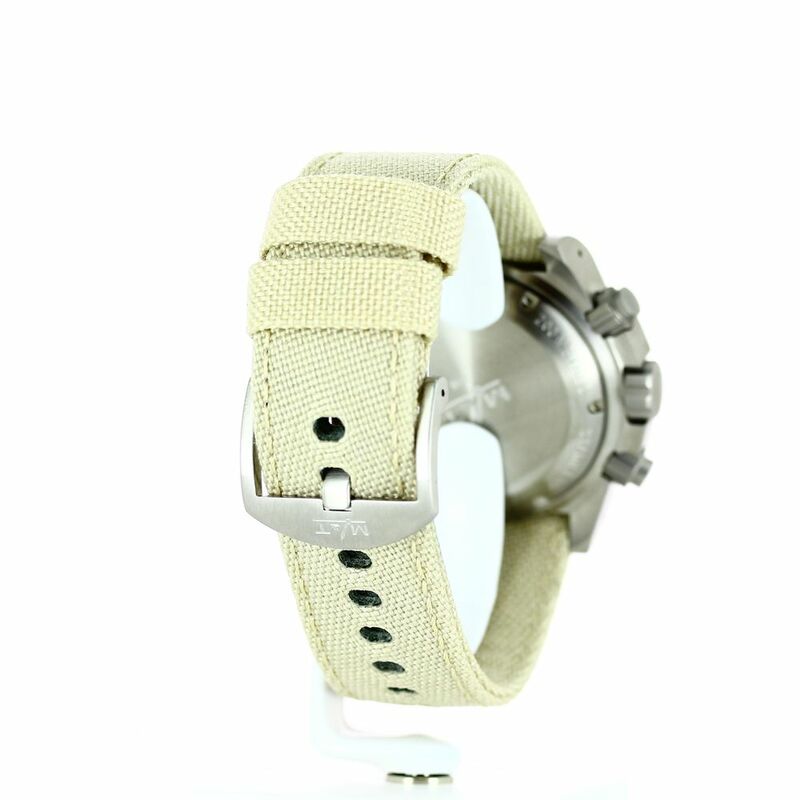 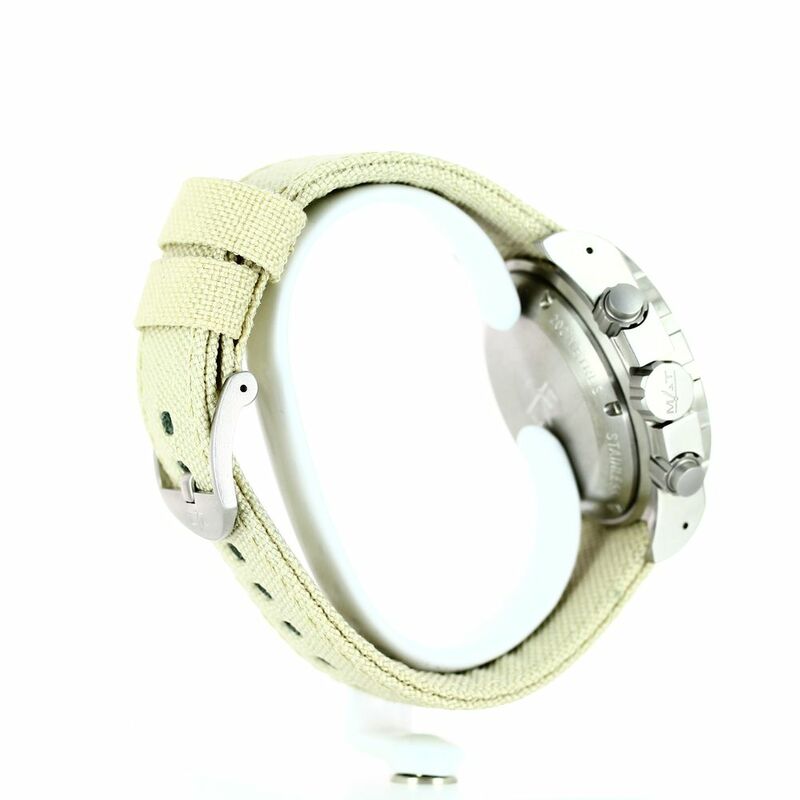 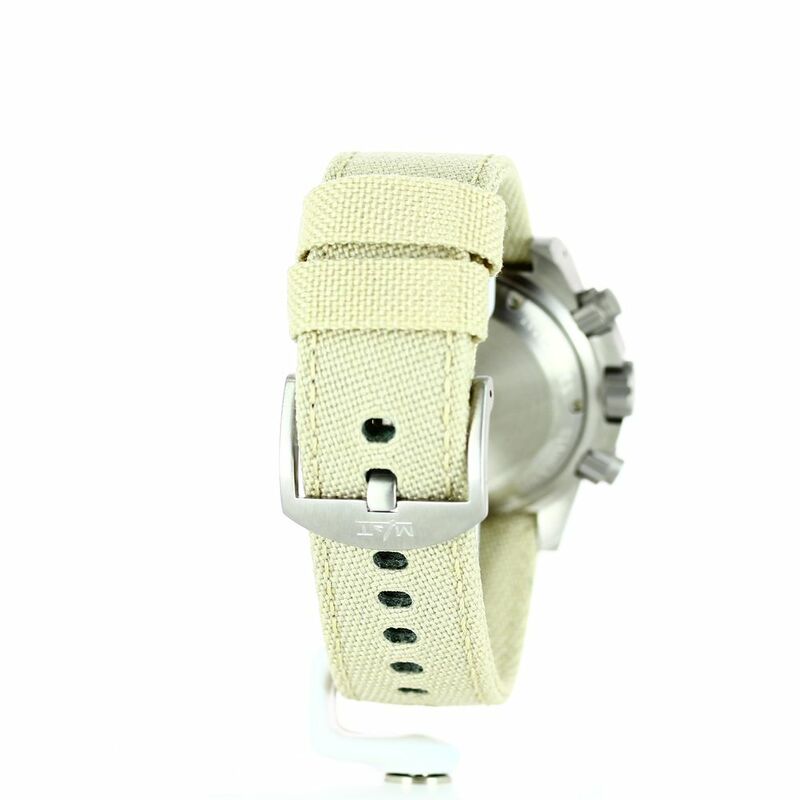 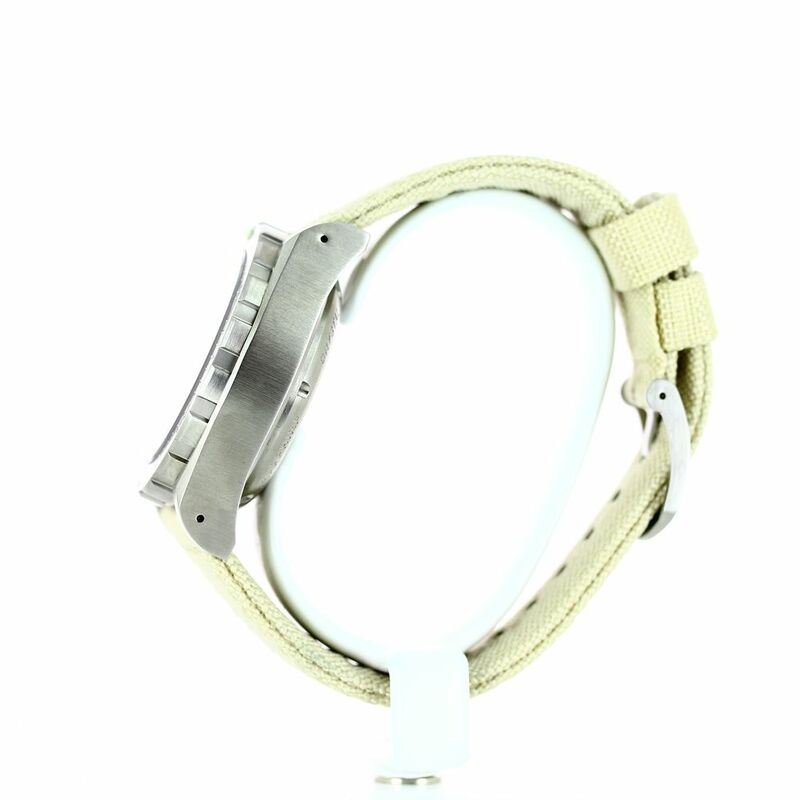 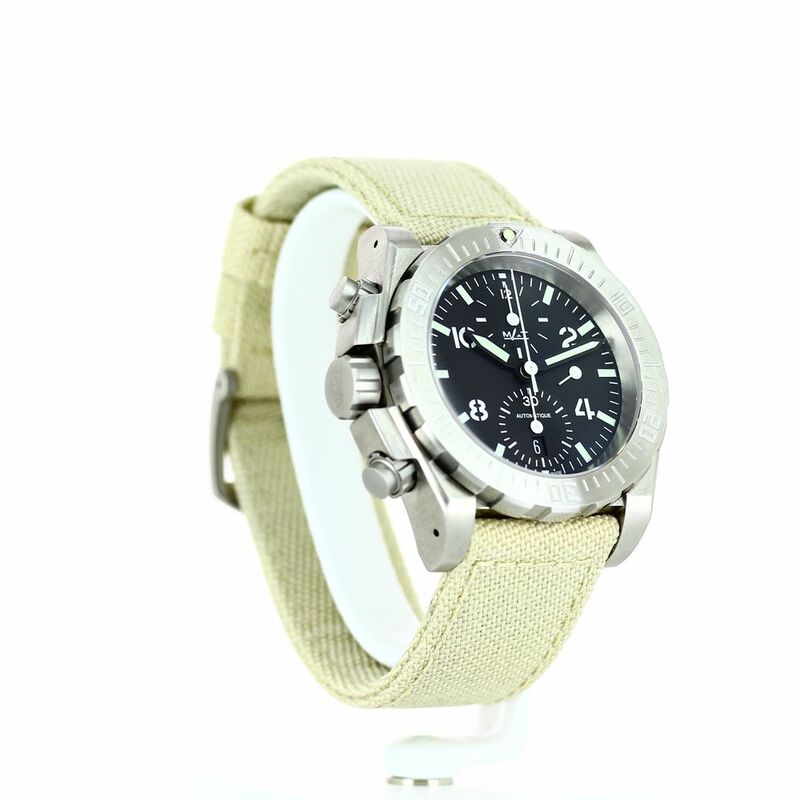 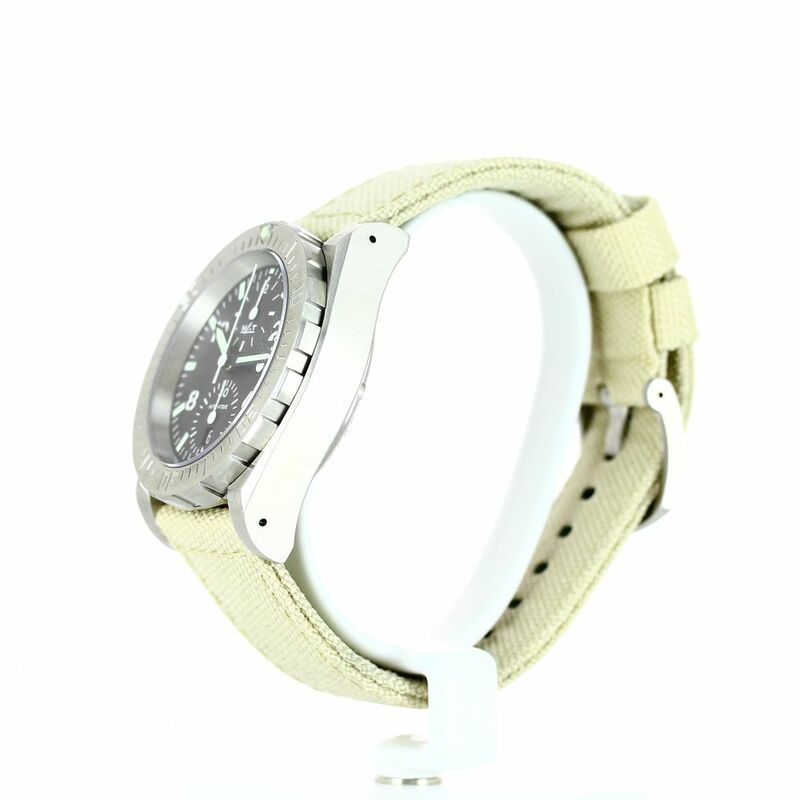 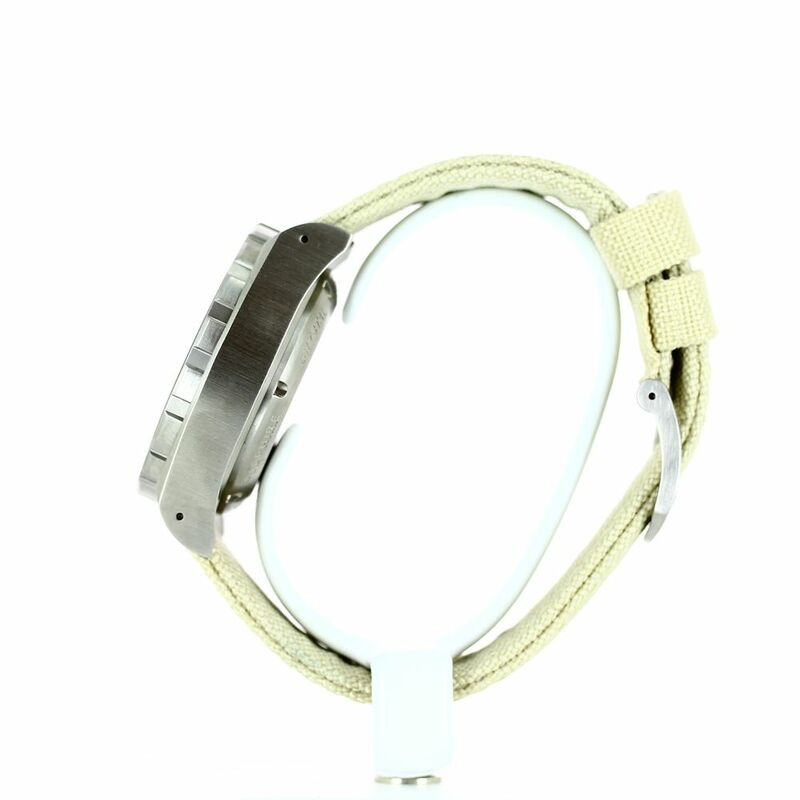 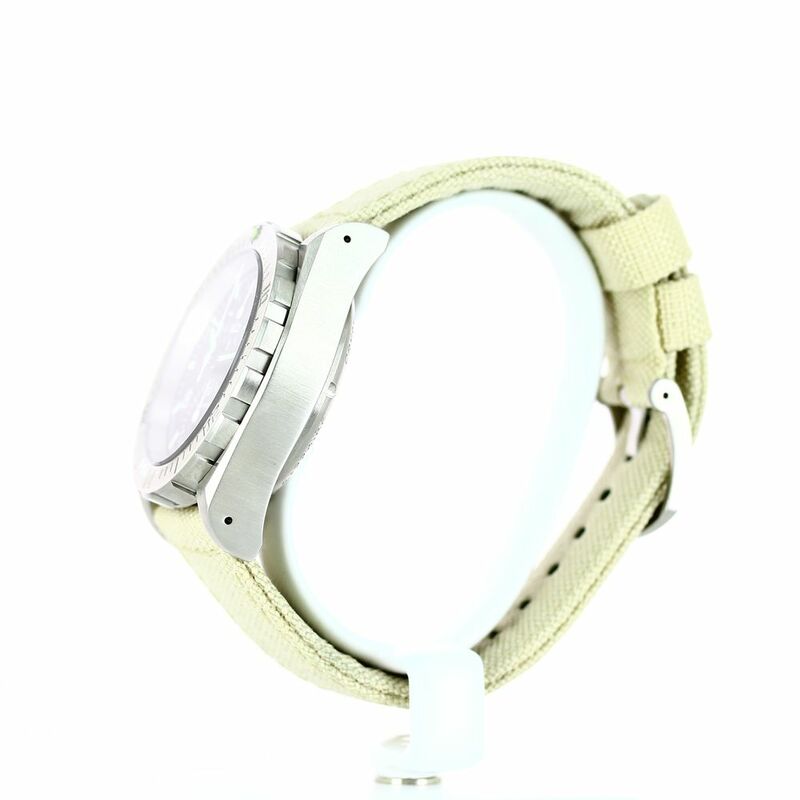 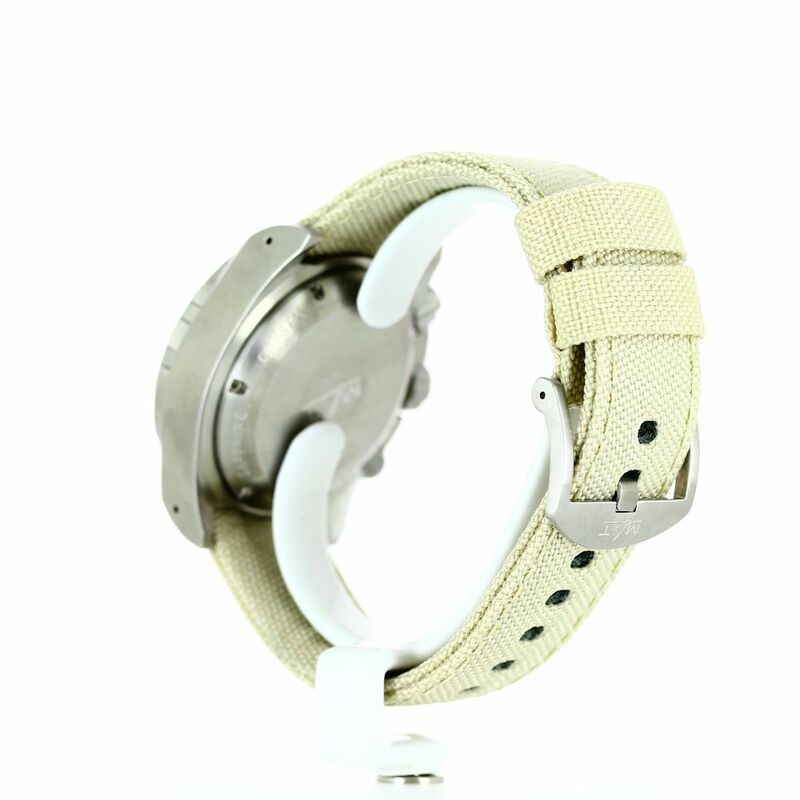 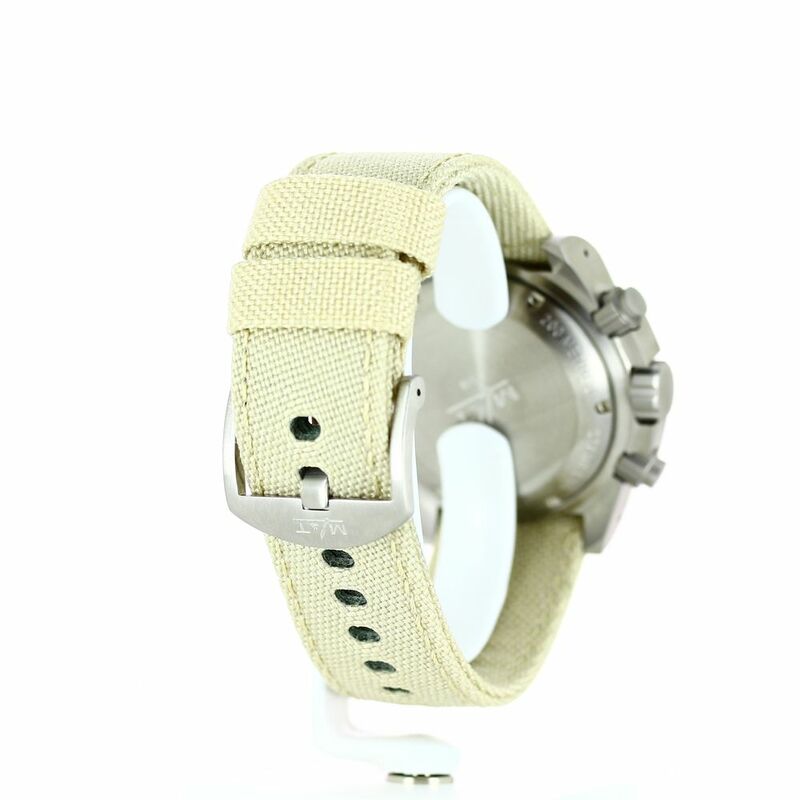 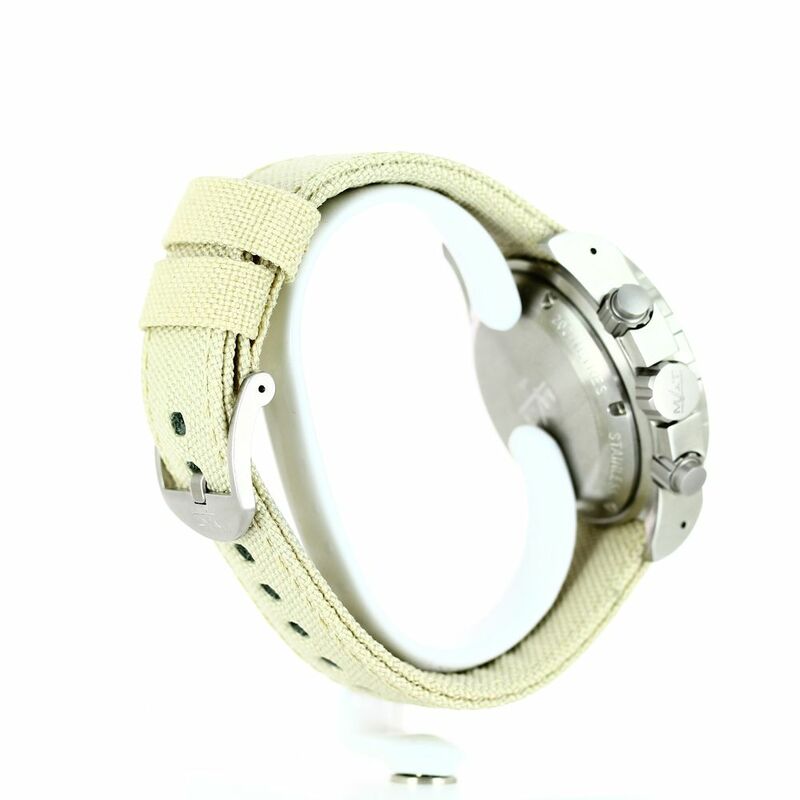 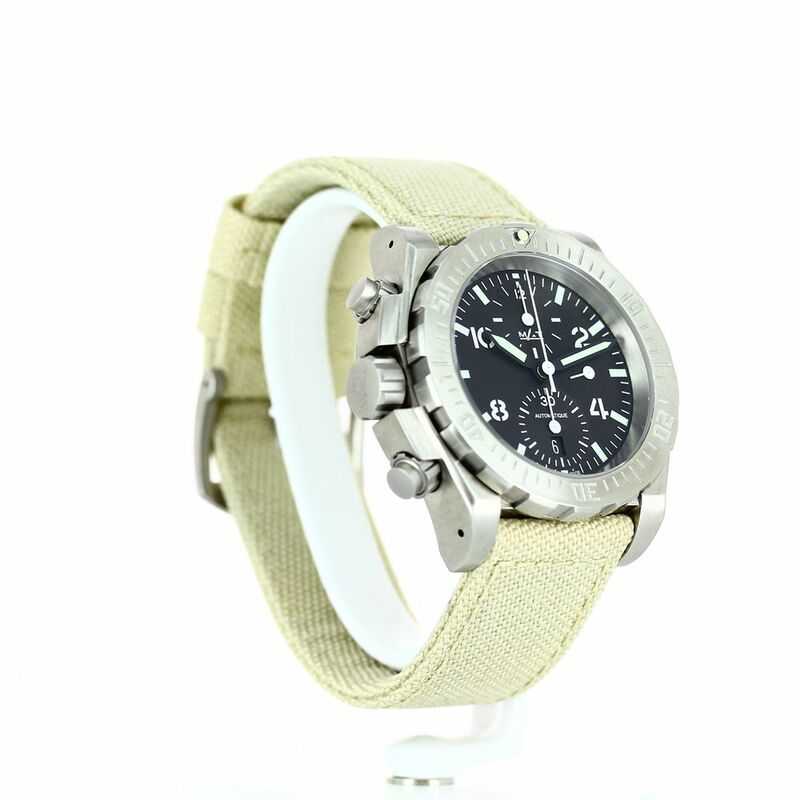 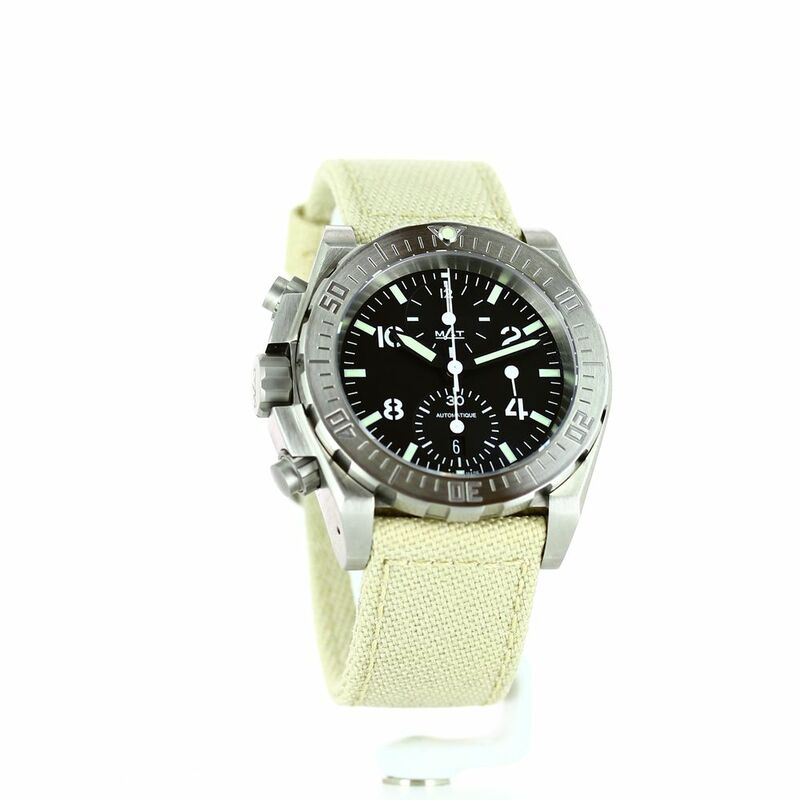 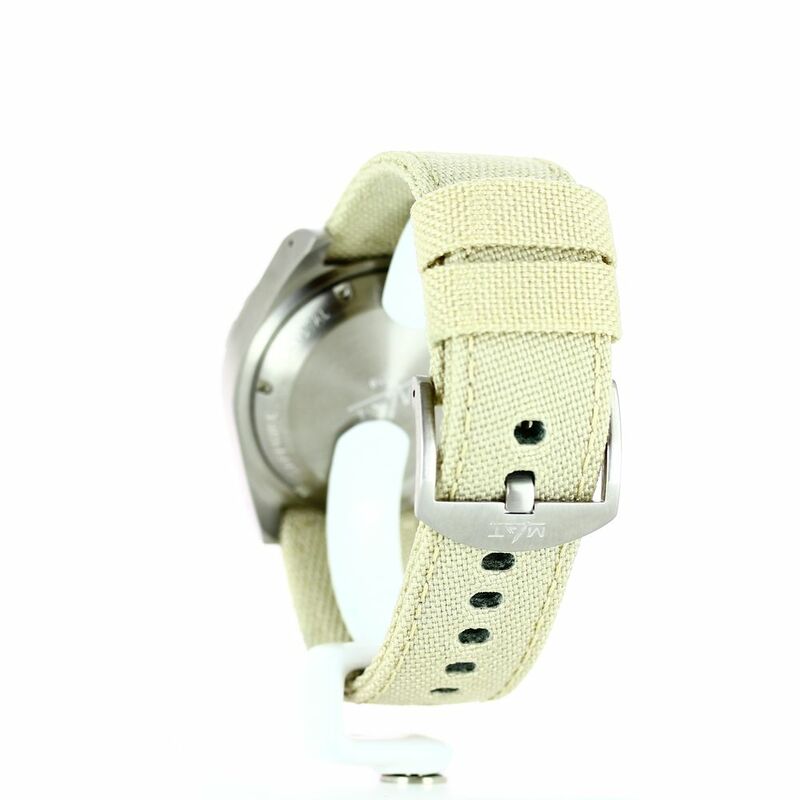 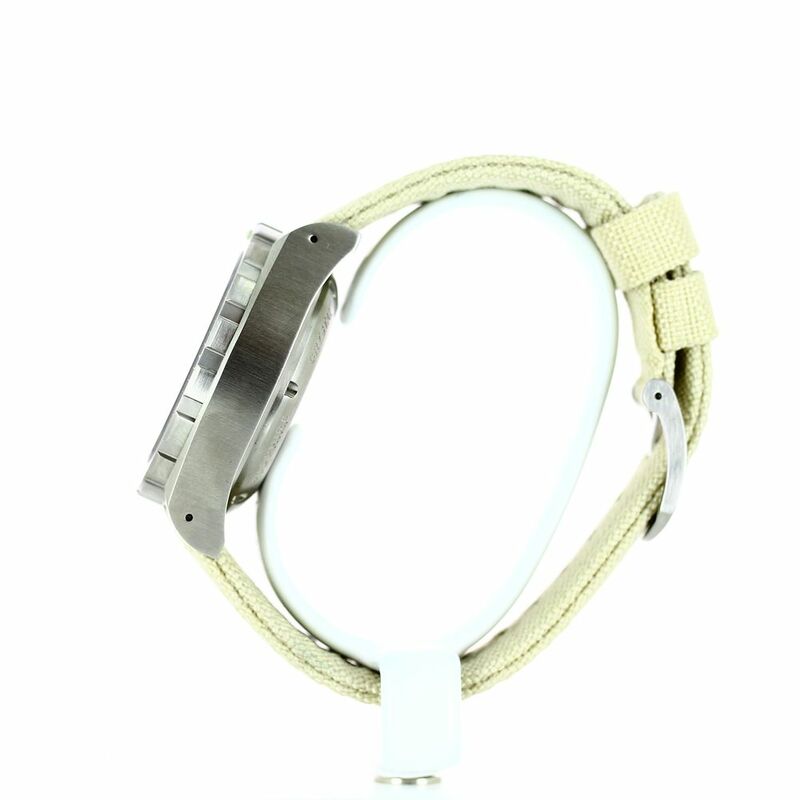 Delivered with 3 interchangeable straps: 1 fawn vegetal tanning leather strap, 1 sand canvas and 1 black rubber band.